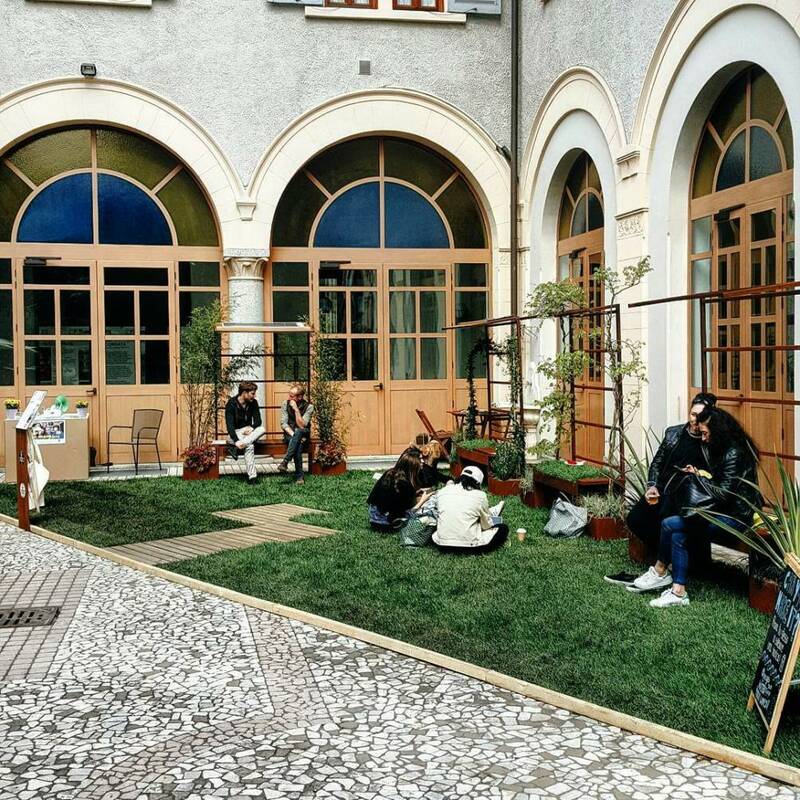 The 5th edition of Zona Santambrogio again presented a circuit of exhibitions and events together with the actors of Sant’Ambrogio neighborhood as showrooms, shops, restaurants and of course designers, companies and architects that in the district spaces find their own ideal showcase. It is a charming convent of the early 9th century with a large garden populated by imposing trees, located near Piazza Sant’ambrogio. 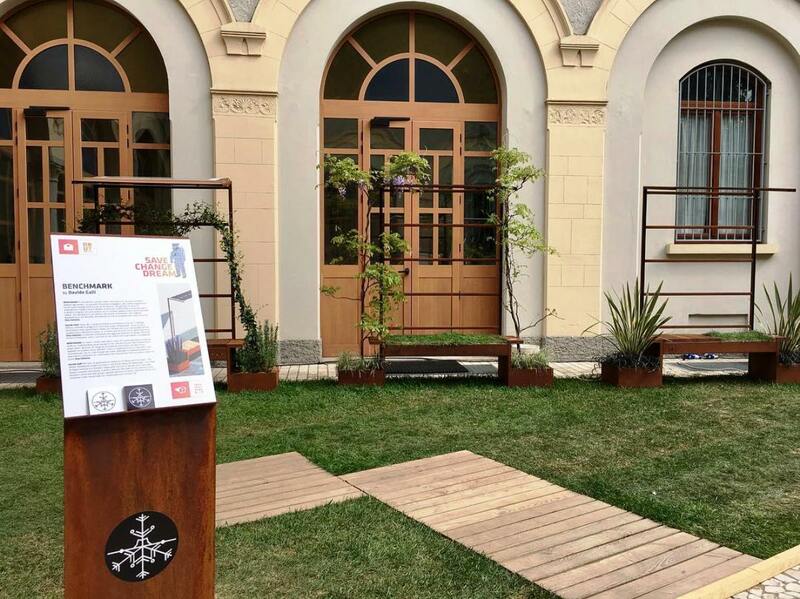 Today part of the monastery is run by the Cooperative La Cordata, which has turned it into a student, long-term residence, and location for co-working and events. 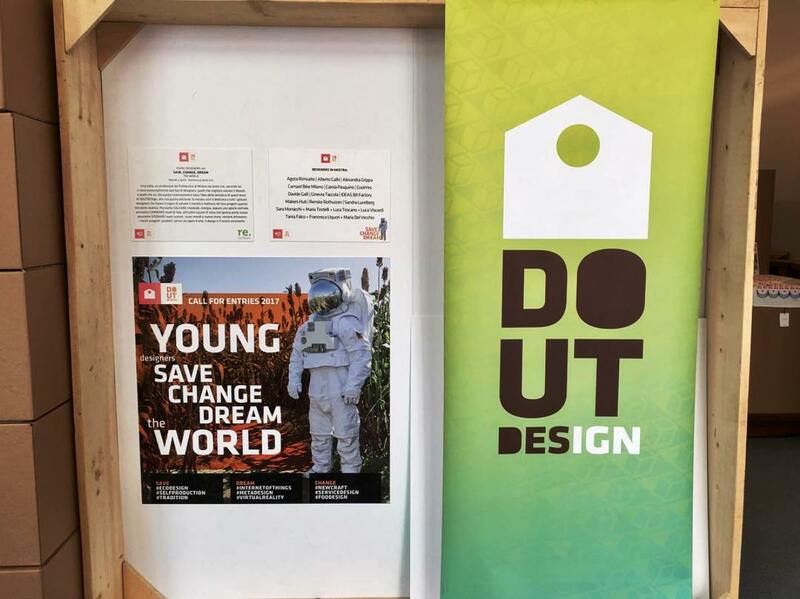 The DoutDesign Exhibition 2017 was an invitation for young emerging designers under 35 to question the potential of design in the world of social and environmental sustainability. 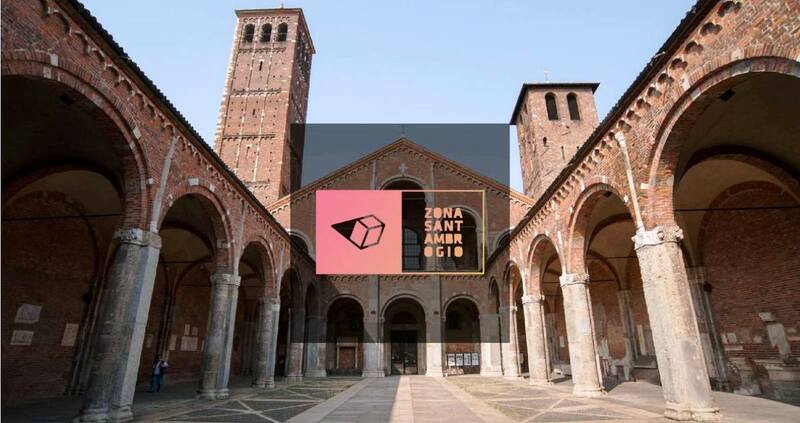 Participating designers were selected from an open and international call by Regione Lombardia and the Politecnico di Milano, looking for prototypes and innovative products, with attention to self production and to the sustainability of the processes. 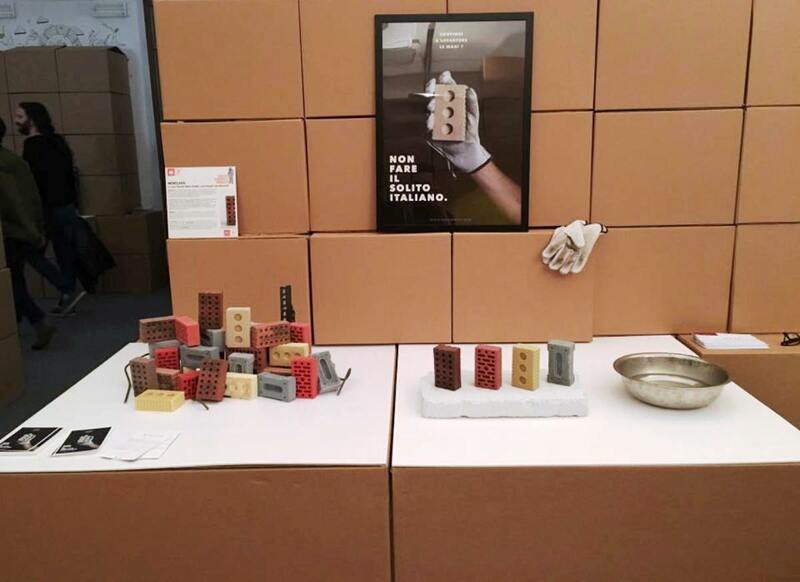 On display were projects, strategies and services that can play a decisive role in the evolution and improvement of society: focus on environmental sustainability issues, the life cycle of materials and products, and the environmental impact of production. 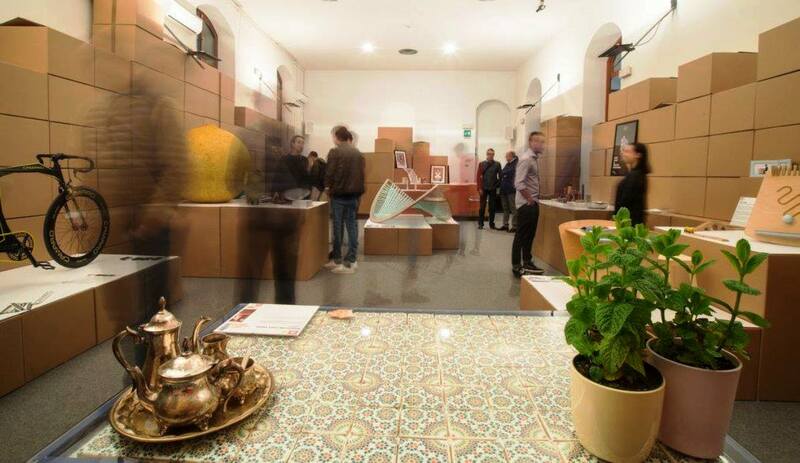 The exhibition, curated by Re.rurban Studio, was set up with paper boxes, reminds us that everything is transient, and also that everything is possible. 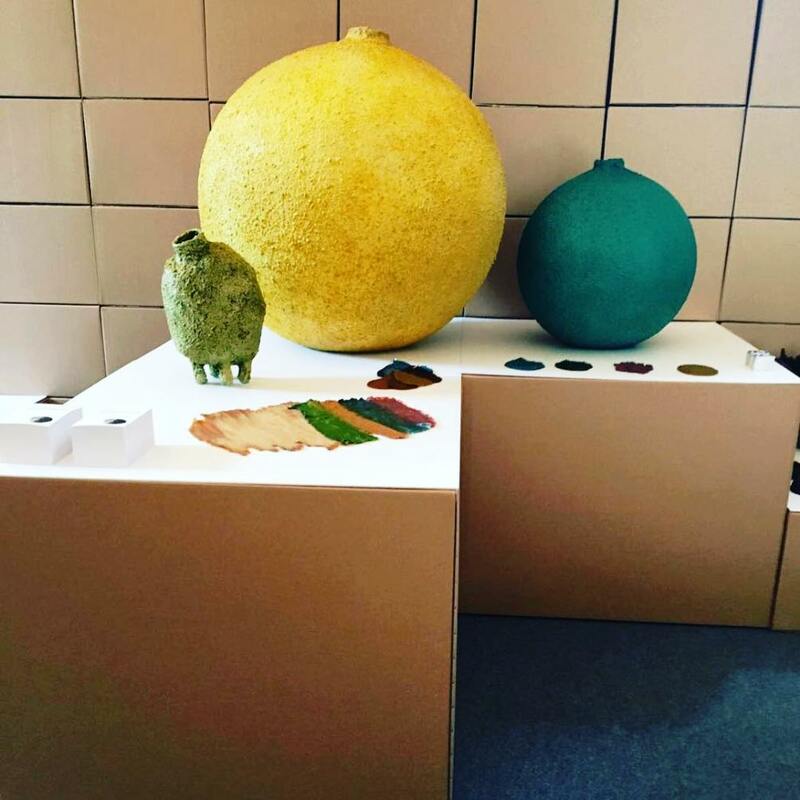 Designer Ginevra Taccola presents a collection of materials, textures and colors created through this truly innovative material, 100 percent natural and degradable in 4 days. 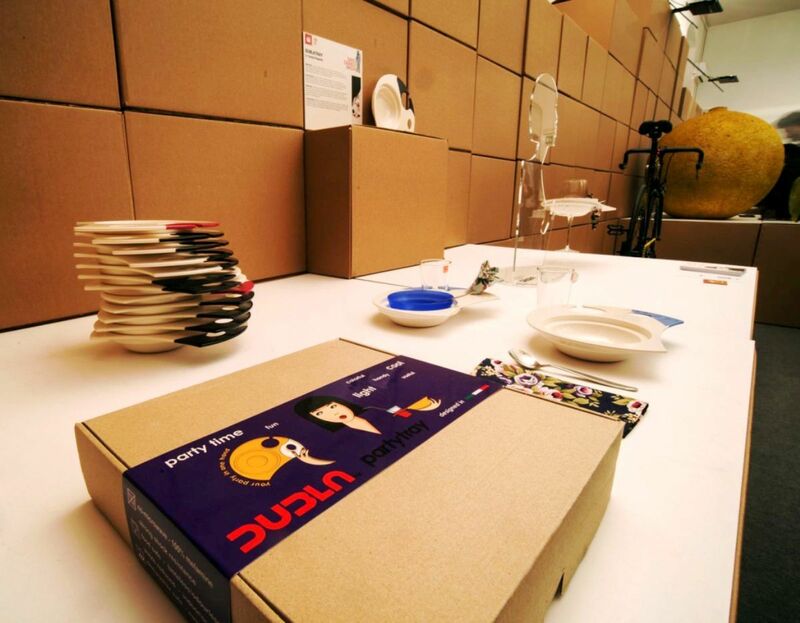 How to turn a waste material into something really innovative. 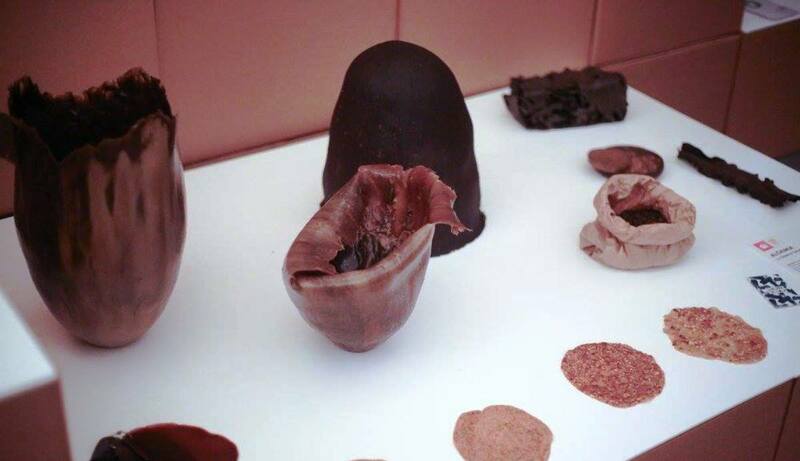 Make a waste material, negative, such as orange skins, into something useful and positive like bioplastics. Alchemy was born by looking for a natural solution for synthetic plastics and trying to improve today’s bioplastic resistance through a natural component. By researching, the designer discovered that inside the orange skins there is a substance that makes them hard and resistant. From here OrangeBi was born, a 100% sustainable material, not toxic, has no disposal costs, is degradable in 4 days and is also an excellent fertilizer. OrangeBi, which is under patent registration, can go to molds thanks to its density, print it over with digital printers, get the texture on which it is laid, thermoform and cut laser. OrangeBi is a material that utilizes industrial processing waste such as orange peels, transforming them into organic, pliable, ecological and non-toxic matter. It has no disposal costs and is degradable in the soil where thanks to the enzymes contained in the skins becomes an excellent fertilizer. 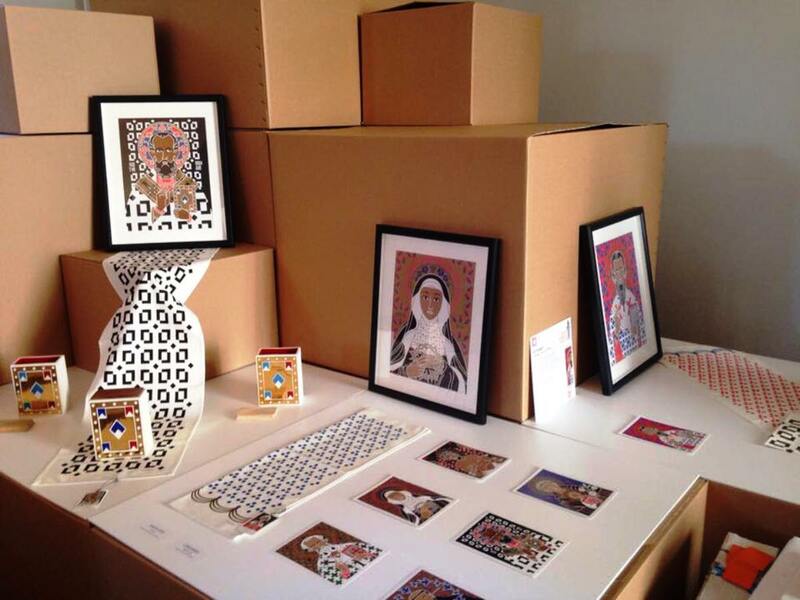 Ginevra Taccola is a young freelance designer specializing in the fields of art and product. Graduated in the three-year product design course at NABA in Milan in 2016, she developed Alchemy and his passion for material exploration. 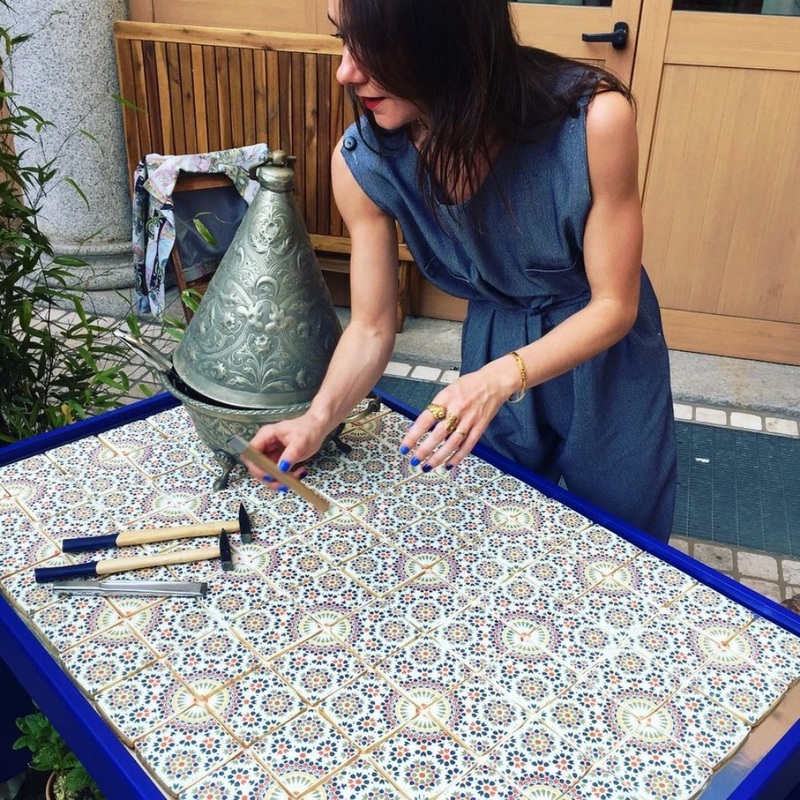 Her passion for materials, his dirty hands and constant influence on natural and organic patterns, led Geneva to work for designer Nacho Carbonell from September 2016 to March 2017. 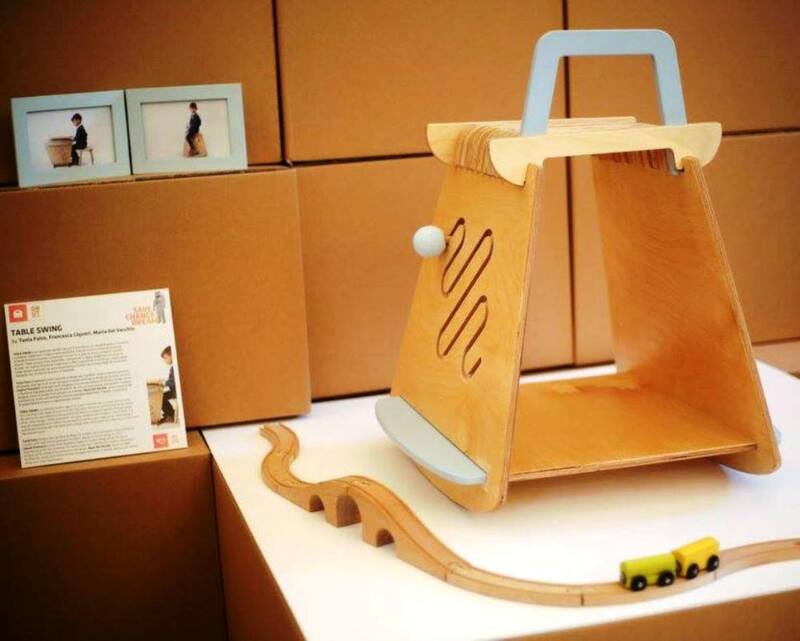 In February 2015 he won the third prize with Uniko , a project born within the BE Brianza for Expo and design course. 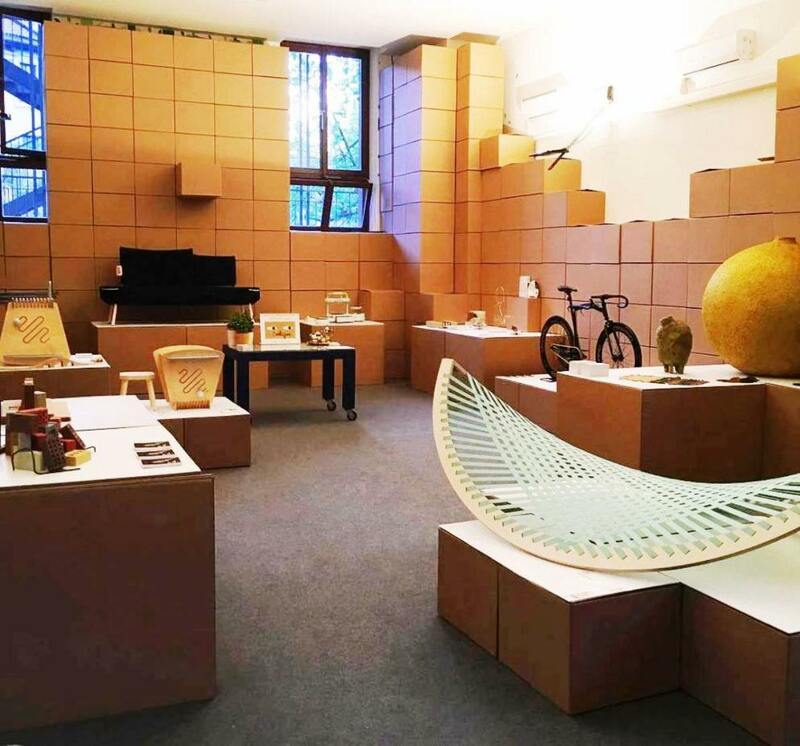 In April of the same year, at Fuorisalone 2015, she exhibited T12 Lab, a project in collaboration with Amorim, the world leader in cork. This project was published on Vogue a few months later. 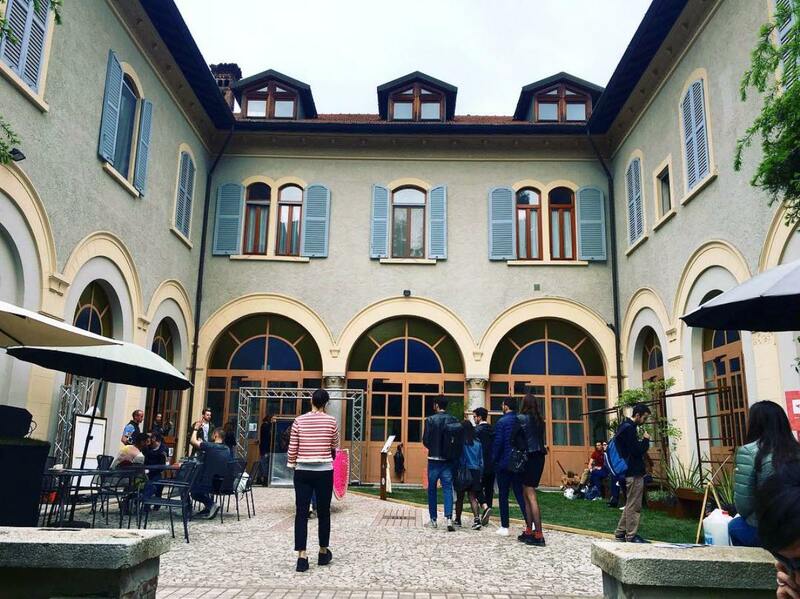 Geneva is currently working in Milan, where she will soon open her own studio. 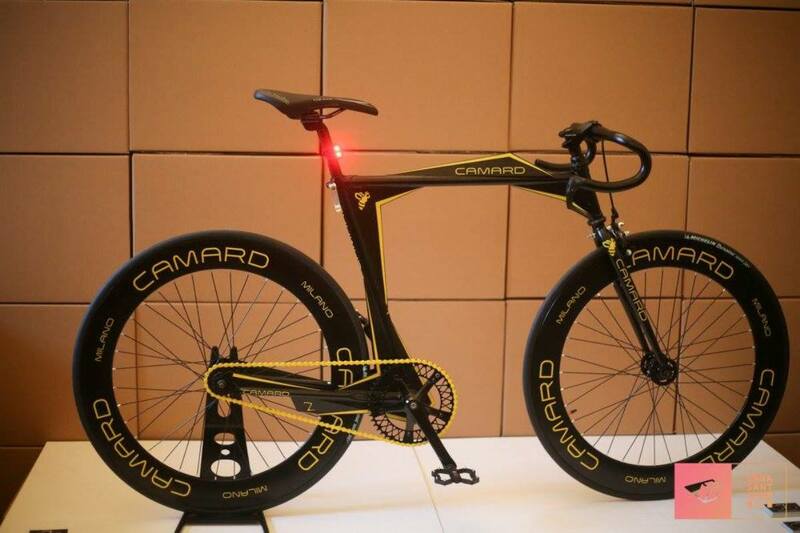 Provocative and sparkling Camard represents a small conceptual revolution of an iconic design piece: the bicycle. Camard LZR is a new driving experience thanks to perfect weight balancing and a successful technique and style fusion. The structure at first glance may seem thin and not strong because it has no oblique tubes present on any other frame, in fact it is far from weak. The LZR frame offers stability and rigidity similar to a common bicycle frame, but is lighter, easier to store when not in use, easy to carry and featuring a unique and fascinating design. After about 18 months of study and experimentation we have created the reflex arch structure that characterizes the frame, thus forming a structure of only 4 tubes instead of 7 which, combined with the 6 arches, maintains the robustness of the common frame without being subjected to twisting or flexion. The weight of the steel frame is only 2.7kg and the complete bicycle has a load of over 110kg in motion, even on off-road terrain where the stresses are greater. 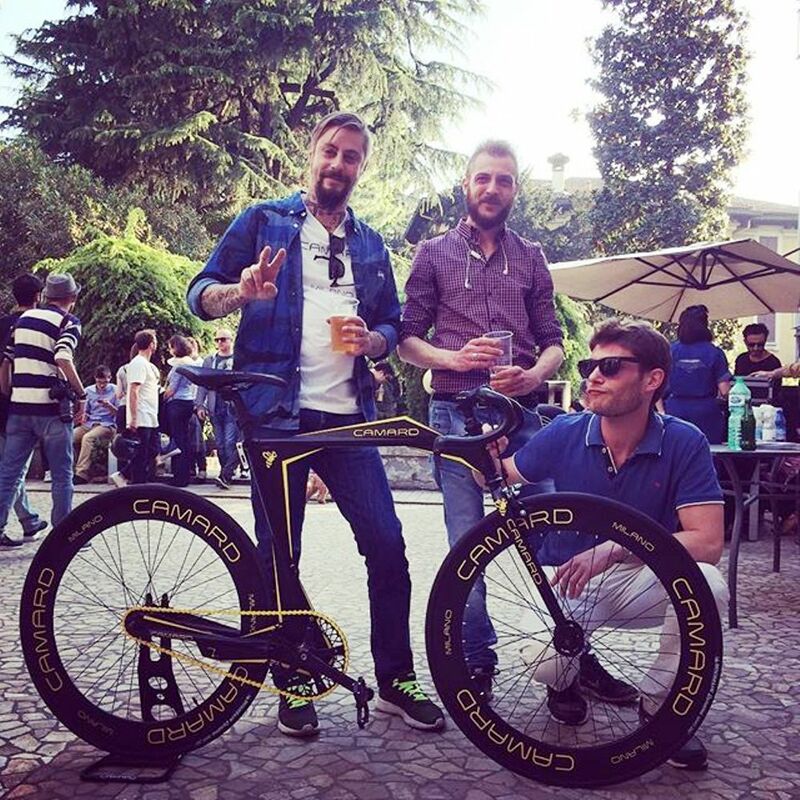 The Camard philosophy was born in Milan in 2015, where Davide Camerini, Milanese designer, proposes a collaboration with Alessandro D’Adda and Andrea Tormena for the creation of crafts cycles. COCO-MOON is a coffee table that is born with the goal of materializing a story told through dynamic furnishings, able to change according to the needs and the location where it is located. 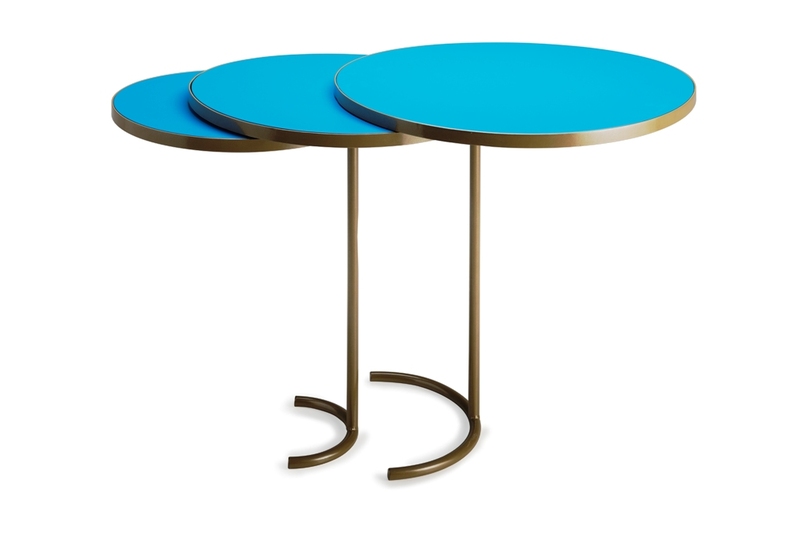 The table consists of three parallel circular planes, different diameters, joined by a rotation mechanism and supported by two legs with semicircular base. The basic position forms a single table and acting on the rotation mechanisms, table tops disintegrate, creating a variety of bulky solutions. The planks are in wood with a matt blue finish and are supported by raw iron legs with glossy lacquered finish. 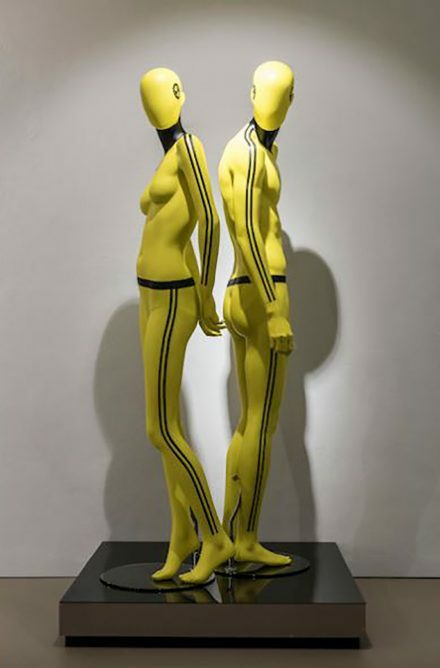 Designed by Alberto Gallo was born in Padua in 1991 and is a “aspirant” designer. 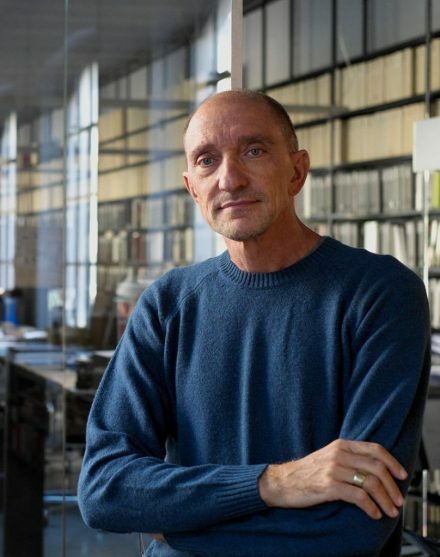 He develops his interest in design thanks to the course of studies at Palladio Design Institute. In the future he would like to continue to share emotions with people through the objects he created. 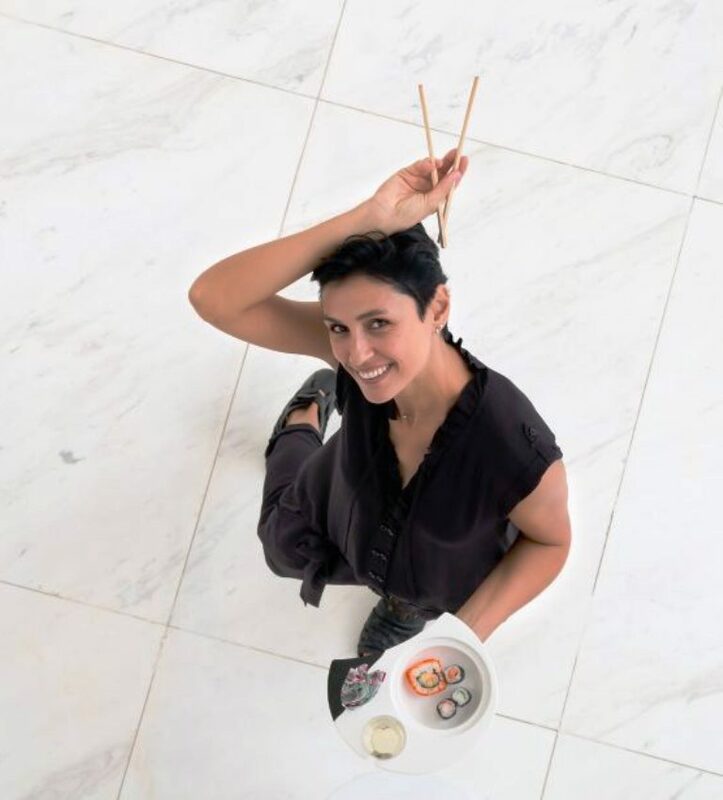 After thousands of forks lost, plates and glasses full forgotten means who knows where … Carola Pasquino thought about solving this problem. 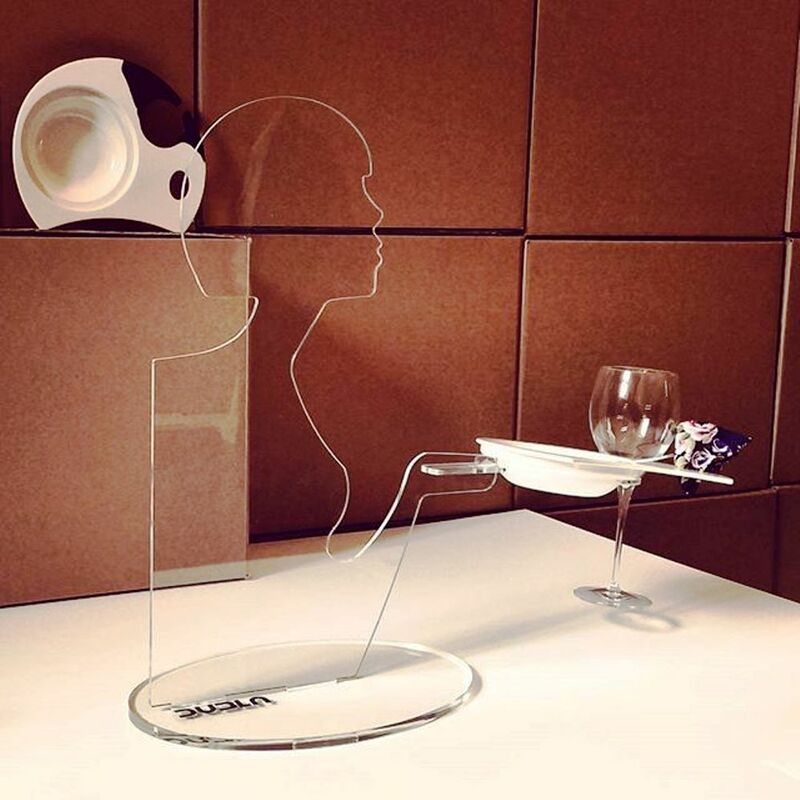 She has designed a lightweight but lightweight dish that can release a hand and allow you to enjoy the party by making a selfie helpless, answering a phone call, sending a message, or hugging a friend. 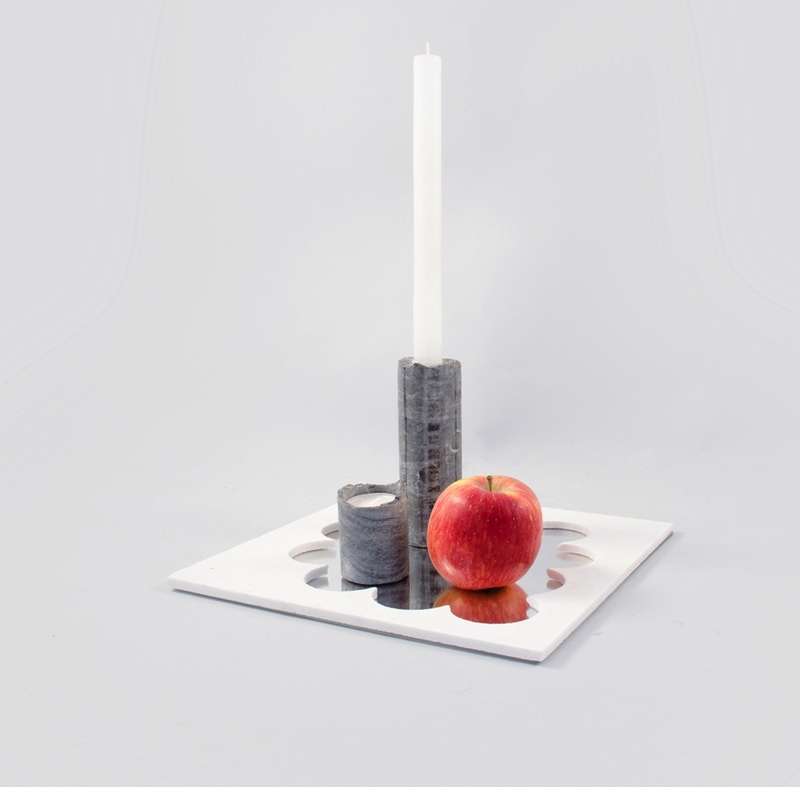 Dubla Tray is strong in functionality and not only beautiful but also enjoyable to use. 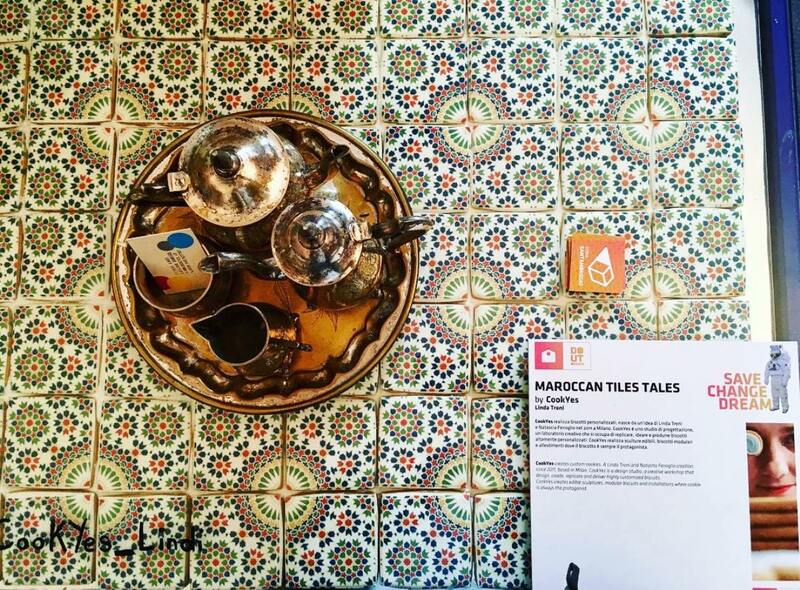 The Dubla Party Tray combines flat and glass in a single design object. 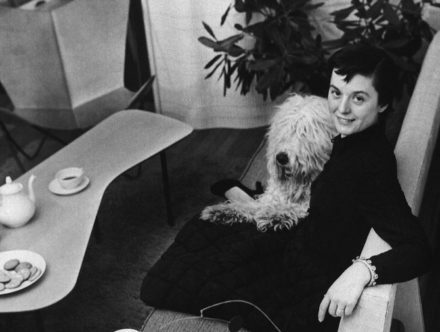 Born in Northern Italy and the daughter of a dressmaker, Carola Pasquino grew up surrounded by the beauty and craftsmanship of craftsmanship. After studying Architecture and Master in Industrial Design, she worked as a landscape architect, interior designer, graphic designer, visual merchandiser, creative fashion designer and artistic consultant. 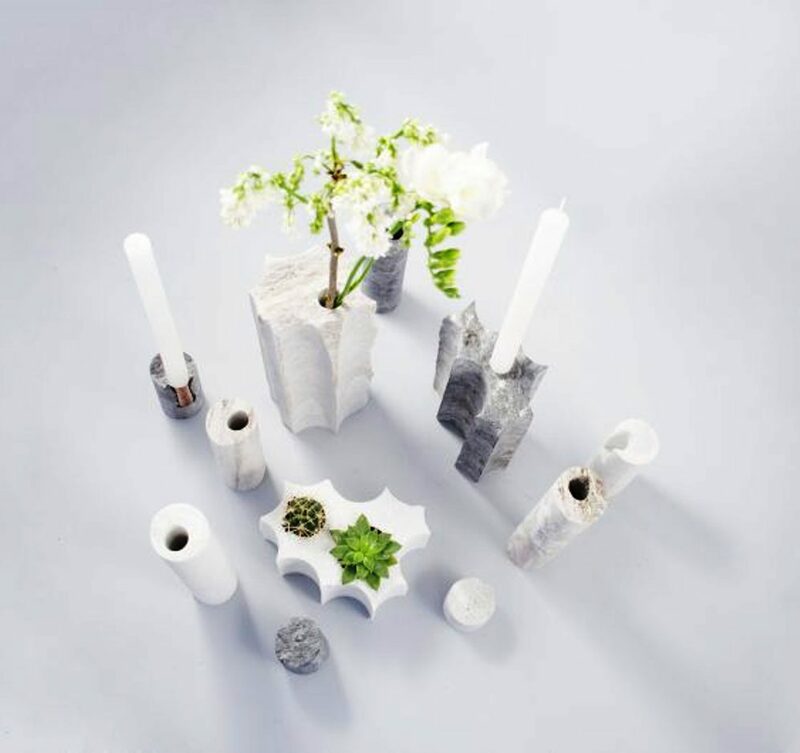 Ghigos‘s home-made collections from recycled stones enhance scrap stones, derived from functional cropping, transforming them into a family of mixed style objects. 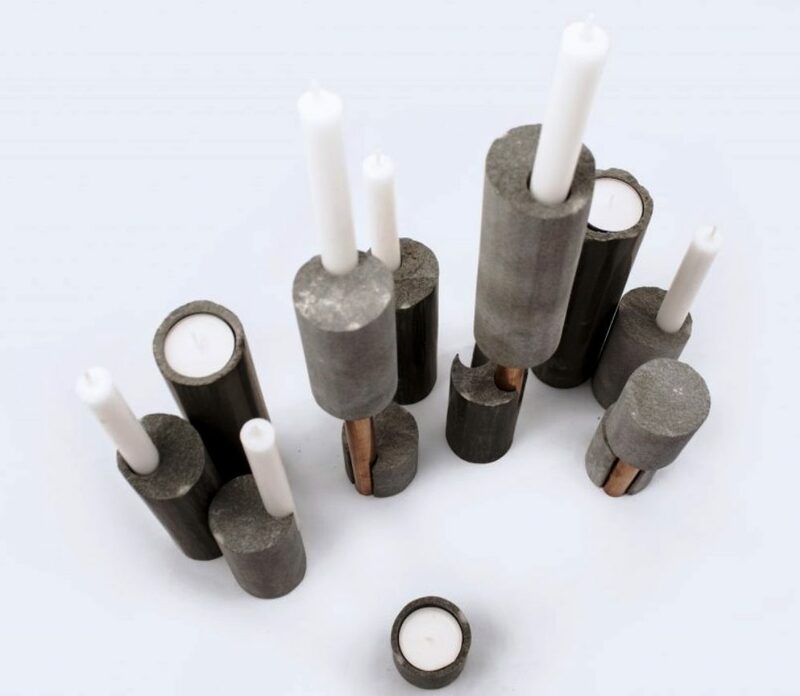 Reinterpreting the irregularities of waste stones, recovered from traditional production, following a vision inspired by nature (from each end a new beginning). Collections that evoke an imperfect, extremely simple beauty – crafted artisanally with as few processing and processing as possible. Similar and never identical forms combining uniqueness, functionality, and sustainability. 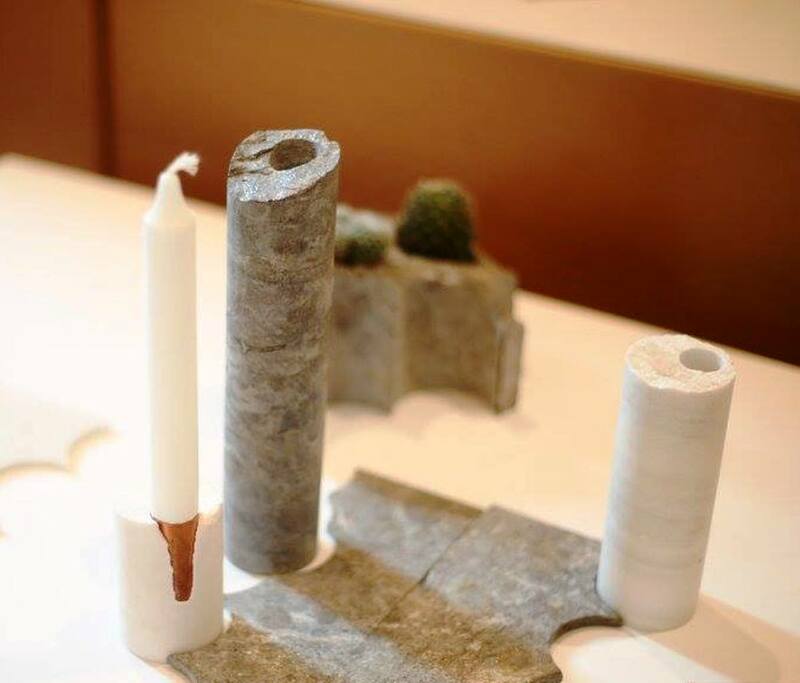 Recycled stones reinterprets the value of the irregularity of the scrap stones of the Val d’Ossola in objects of art and design and in projects with an ethical and aesthetic value. The collections are made of classic Rosewood Marble and black silver – material at zero km, belonging to the only quarry existing in the world of Palissandro Marble. GRU-ING UP is an on-going project by photographer Alexandra Grippa, who studies and documented the development of the great metropolis of Milan. Returning to Italy after many years abroad and discovering completely changed the face of Milan where the artist grew up, was one. Step by step, resuming exploring each neighborhood, Alexandra Grippa began to observe and study, escaped admiration and fear, his rapid, inexorable developments as the time tissues. 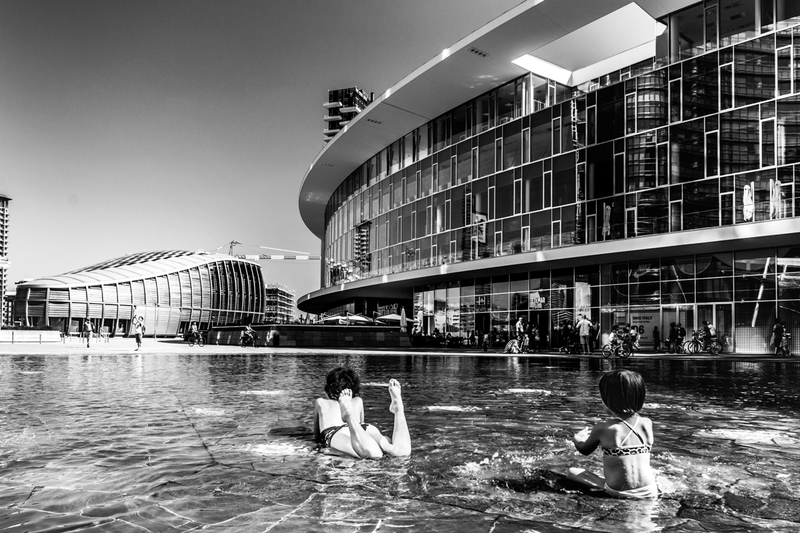 Between interactions and conflicts, between past and present, between real and dreamlike, between architectures and a humanity of people, whose relationship with each other and with the city itself makes the urban landscape real and build its identity. Alexandra Grippa, always fascinated by life sciences, and biomedical doctorate in Barcelona in 2015, then attends to the Italian Institute of Photography in Milan. 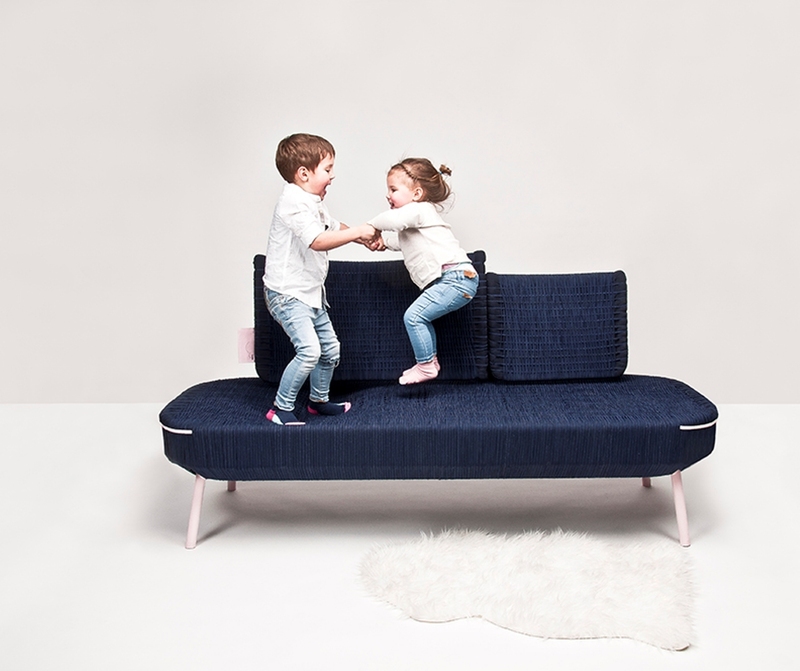 Jumping on the couch will no longer be banned with HOPPA, the sofa designed to keep children entertained and do not despair of moms! “Do not jump on the couch!” …. A common phrase that can be heard in many homes inhabited by families with children. But how many of us have secretly enjoyed long during those days, when the decor became a tramp under our feet? 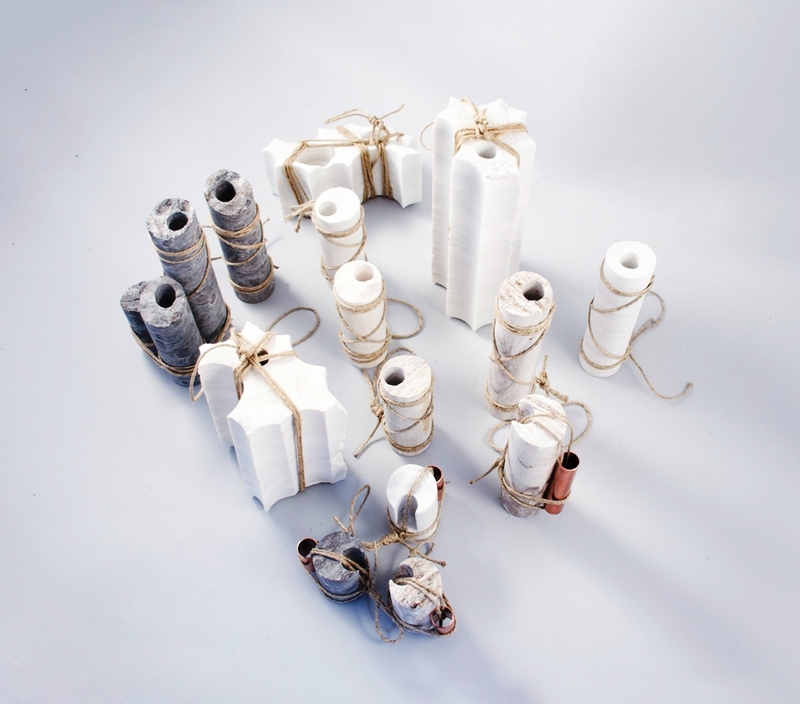 To make a leap in the past and return to those casual fun days, designer Renske Rothuizen created “HOPPA”. At first glance it looks like a common sofa. 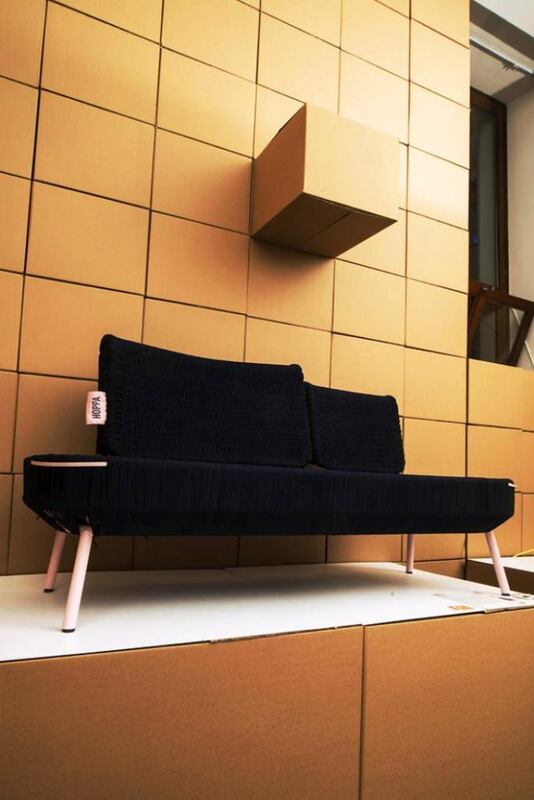 The feeling of play that you try sitting on this sofa comes from an elastic base around the chassis. Small and large jumps are not only allowed; But also encouraged. 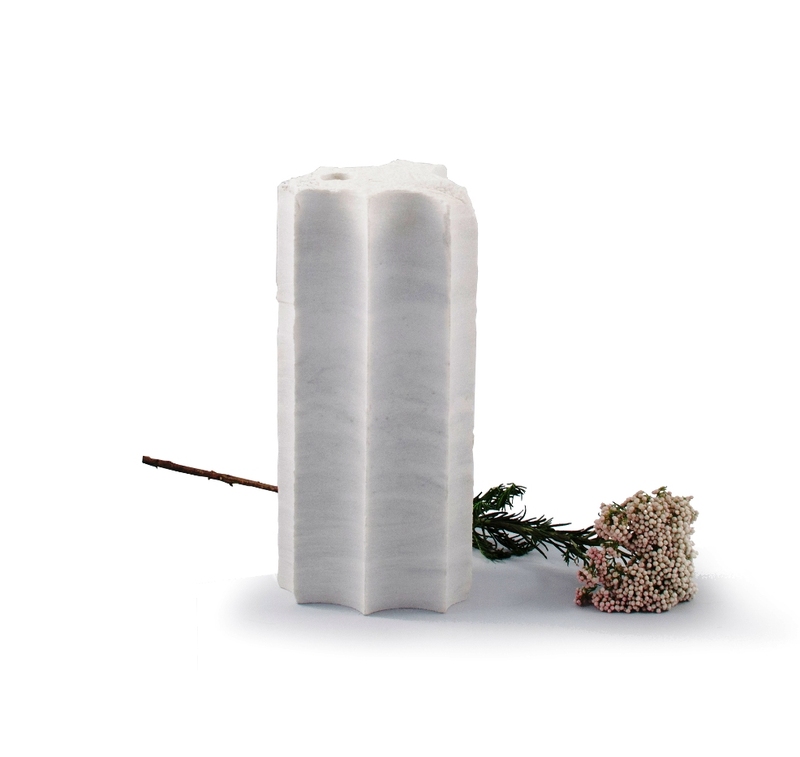 In this way, Renske seeks to combine refinement and “playful” design in a delicate balance. 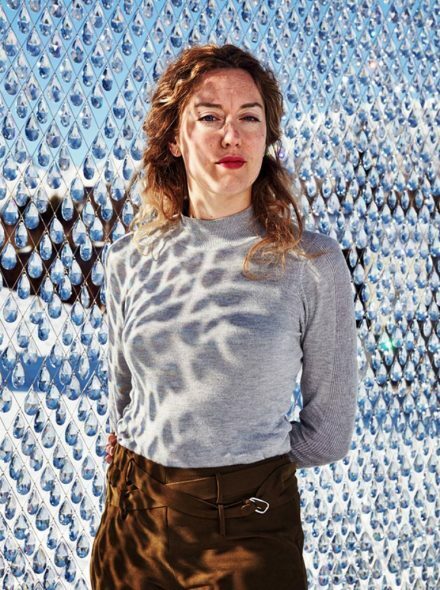 Renske Rothuizen is a young Dutch designer. With a childhood imagination and her curiosity, she always looks at everything around her and inspires her day by day, capturing every moment. Kids fascinate her and her challenge is to find fun in the most desirable things, children have the ability to watch the world with an incredible sense of desire and imagination. Renske uses these factors as a starting point for the creation of her projects. 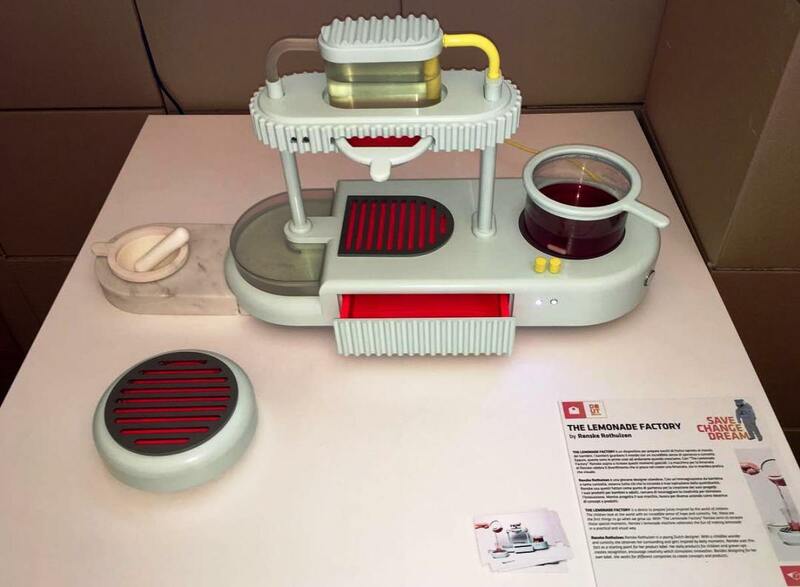 The lemonade factory, the device for preparing fruit juices inspired by the world of children. Children watch the world with incredible sense of hope and curiosity. Yet, these are the first things to go when we grow up. 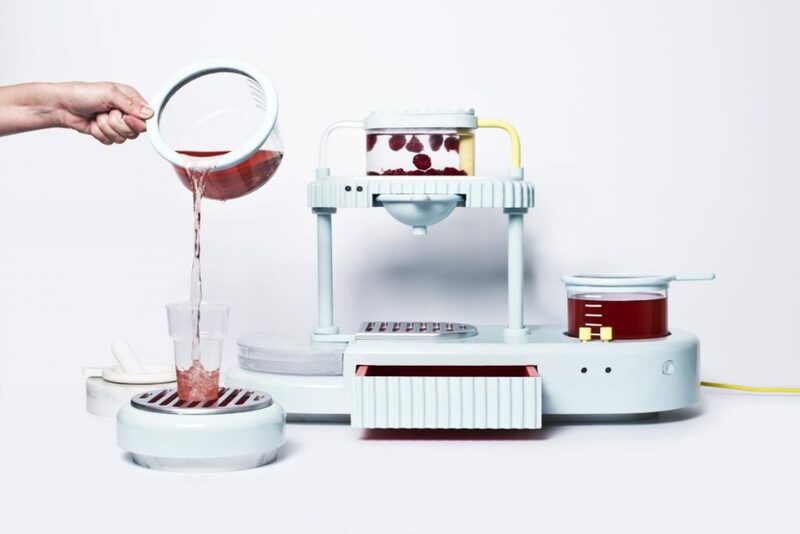 With “The Lemonade Factory” Renske Rothuizen aspires to recreate these special moments: inviting the pleasure to return to our daily lives a sip at a time. Sparkling at the lemon tree of the classic Pippi Long Stocking story, the Renske Lemonade Machine celebrates the fun of creating a lemonade, both in a practical and visual way. 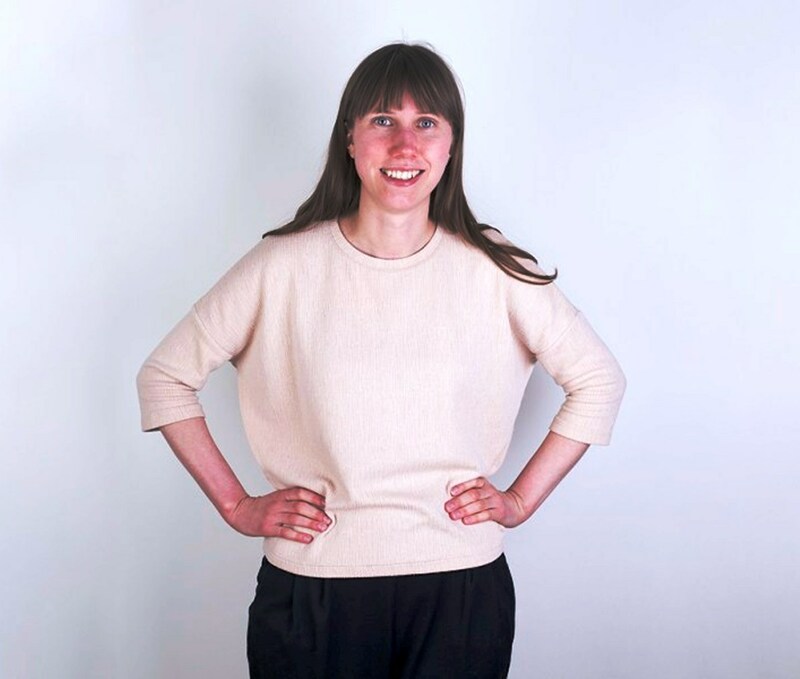 Renske Rothuizen is a young Dutch designer. With a childhood imagination and her curiosity, she always looks at everything around her and inspires her day by day, capturing every moment. Kids fascinate her and her challenge is to find fun in the most desirable things, children have the ability to watch the world with an incredible sense of desire and imagination. 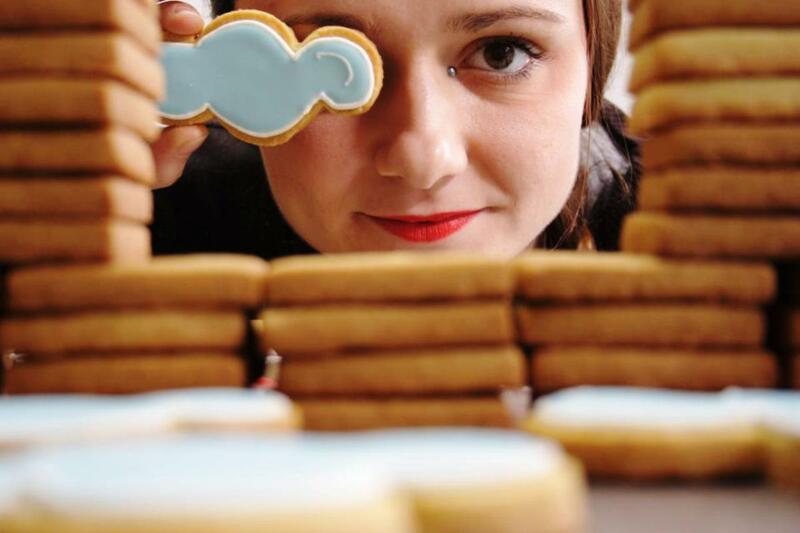 CookYes is not just “decorated cookies”, it’s something more: here the cookie is thought, designed, developed not only as an edible object ending to itself but as an integral part of a wider service. 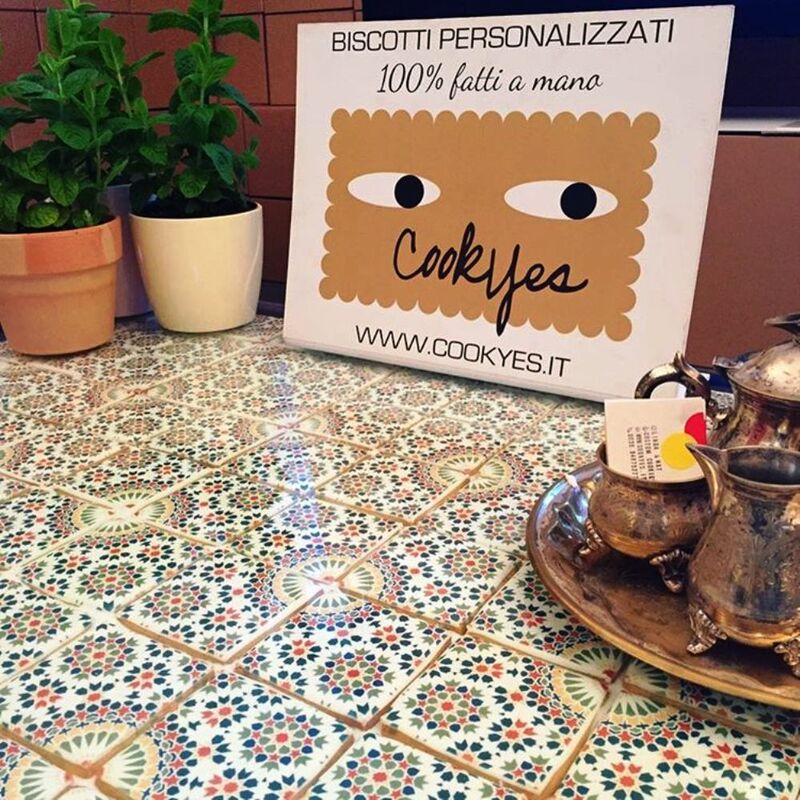 Born from the idea of ​​designers Linda Troni and Natascia Fenoglio, CookYes is not just a creative lab, but a real design studio where, through the combination of manual and design skills, the cookie turns into experimentation and continuous research. 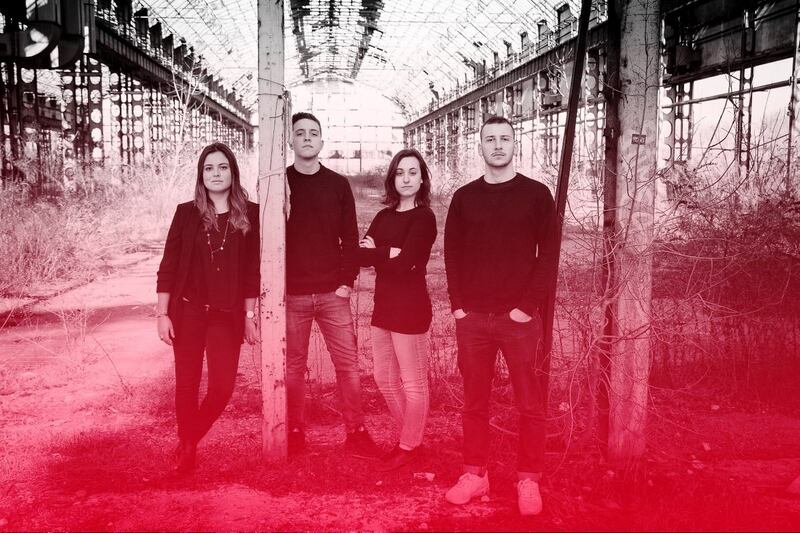 Menelavo was born as a university project by four young designers who took advantage of the function that design has in today’s society, analyzing a strategy to bring this serious matter to light. 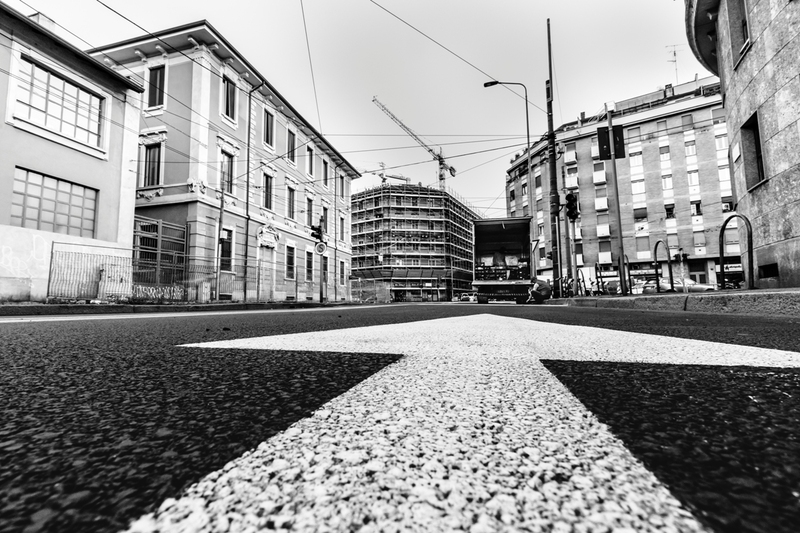 In fact, Italy is one of the countries with the largest number of illegal buildings on its territory. This problem is born because of different situations, from the mafia working in government bodies to the bankruptcy of individuals that invest public money unwisely. All these situations affect the beauty of the county, because of the arrogance of the few and the passive nature of the many. The family of products, whose names make a clear reference to the behaviours related to the practice of construction abuse, want to create a reaction from the consumer that encourages them to take a stand. 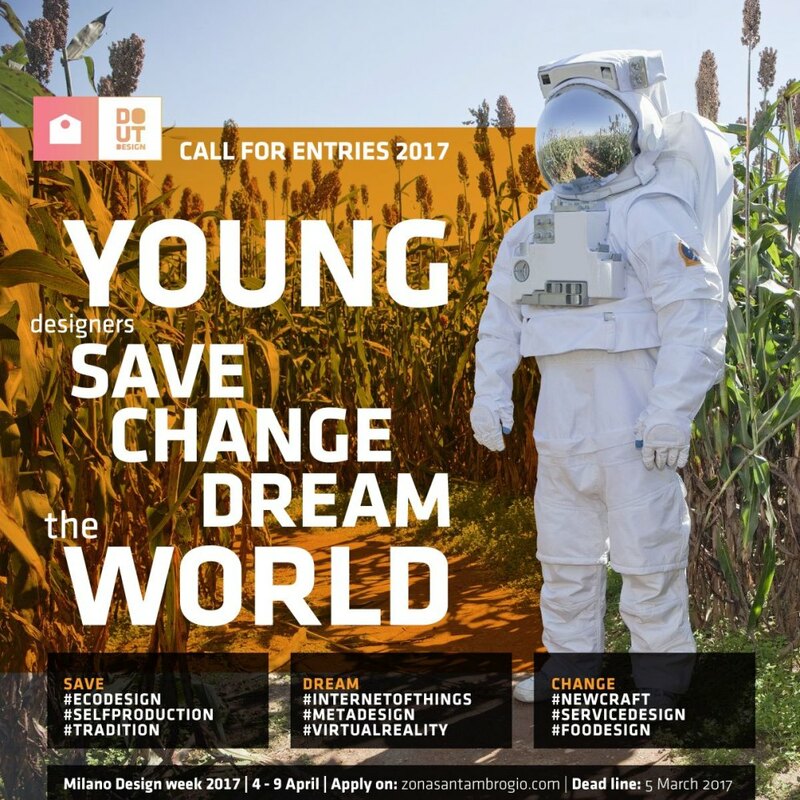 The goal of the designers for the future is to provide, through an online platform, the opportunity for students, journalists and curious visitors to learn about the situation of construction abuse in Italy, and to take part in initiatives for the restoration of beautiful areas across the country. 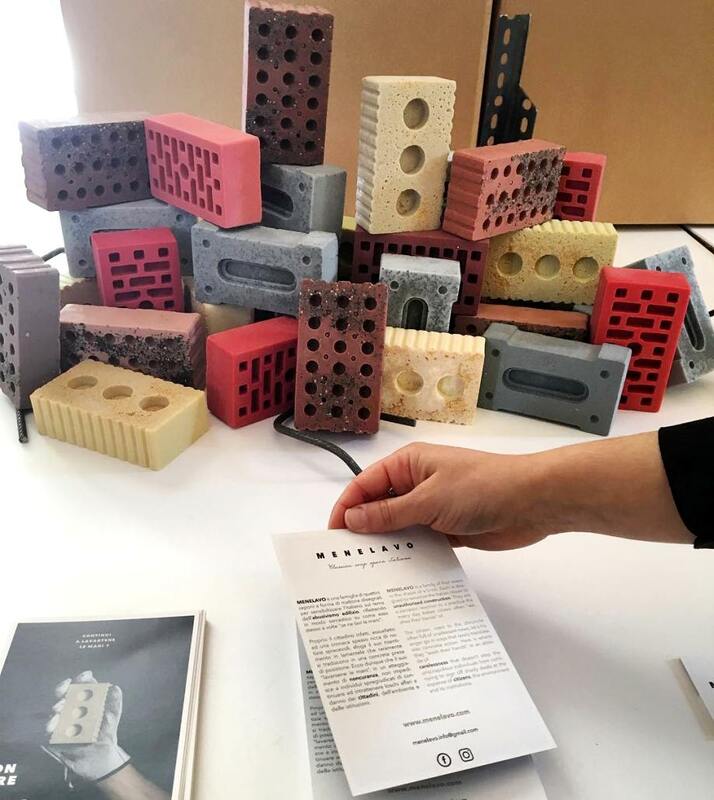 Each soap, in fact, has information about a special case, and parts of the sales money will be donated to partner associations who are against the funding of these constructions swiping the beauty of the Italian landscape. 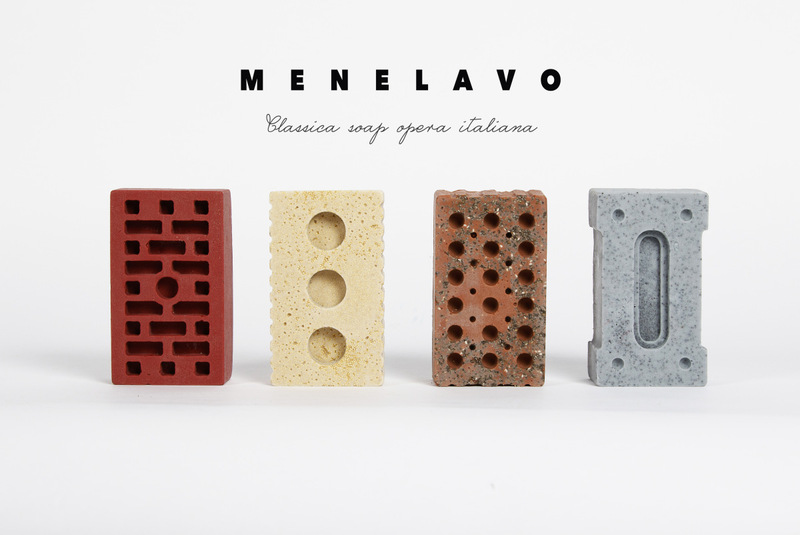 MENELAVO is a project that through a formal and conceptual analogy aims to make the user react to the fine line that exists between being or not being partakers of this situation, and also to make them react to the dirt on their hands. 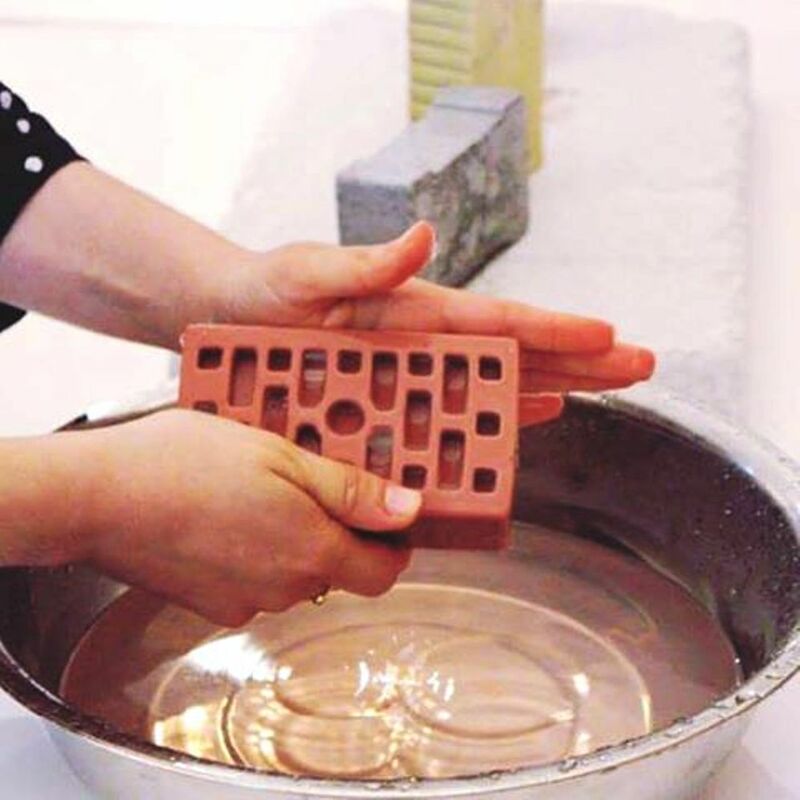 The soap, which is used to wash off stains and dirt, in this case ironically points the finger of blame (without creating moral judgement) and aims to awaken the conscience often forgotten that lies deep inside us. Soap, which would normally be used to erase a stain, in this case ironically blames a guilty one, without ending in a moral judgment, but aiming at awakening that often-asleep consciousness that lies deep in each of us. 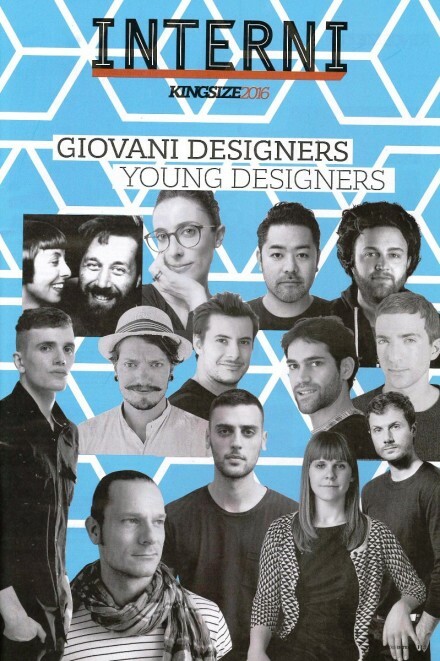 Luca Toscano, for friends Otto, is a young, eclectic designer, but he prefers to be inventor. He writes, searches, wins prizes and undertakes. 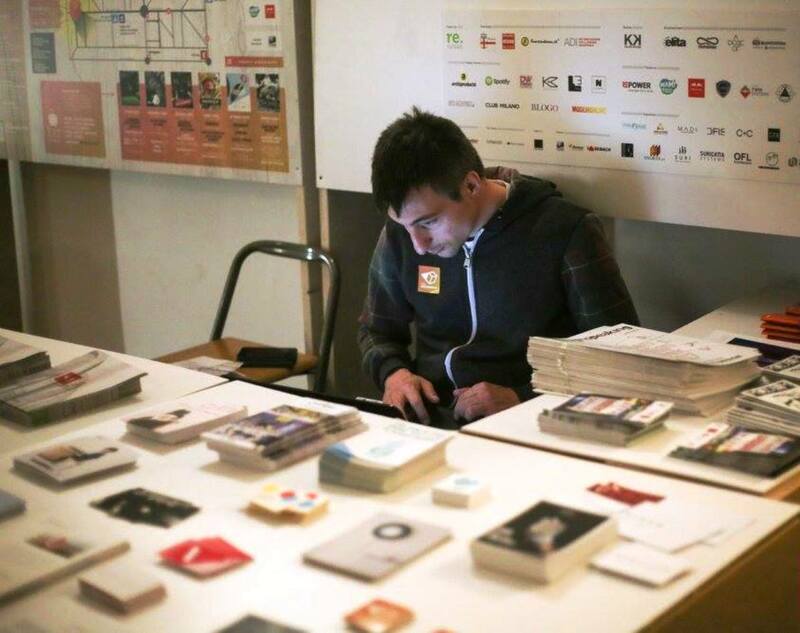 He currently collaborates with Fablab Opendot of Milan and develops independent projects. “Do more” is his motto. Luca Viscardi, who grew up and formed between Varese and Milan, loves to devote himself to the power of the imagination of “lateral thinking”. Given the extreme interest in the complex of arts, he is passionate about design, with flexibility and versatility being applied to design to nurture its curiosity. 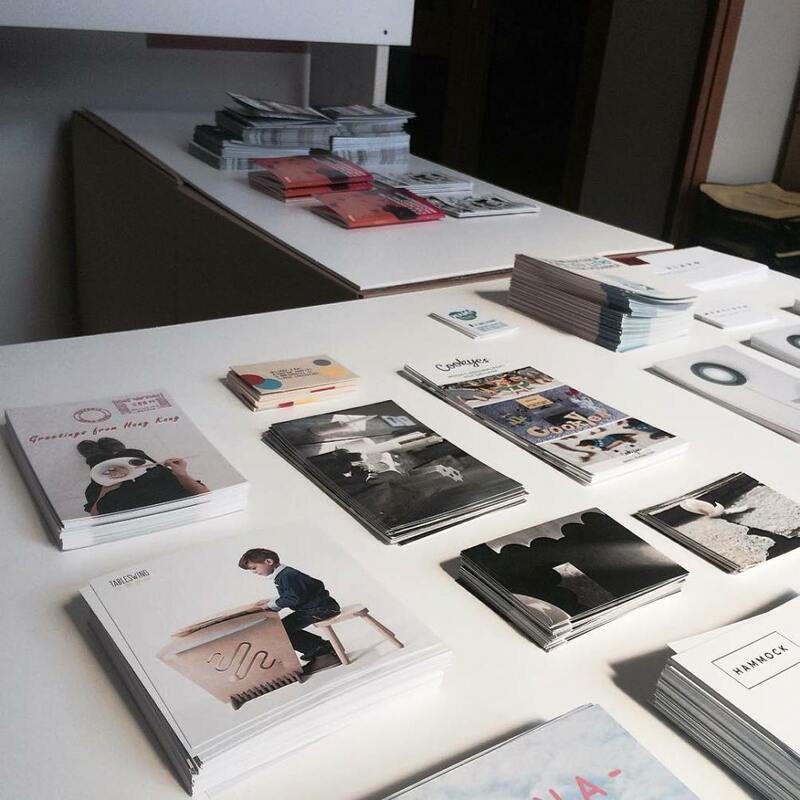 Sara Monacchi is a multifaceted designer who works in Milan. 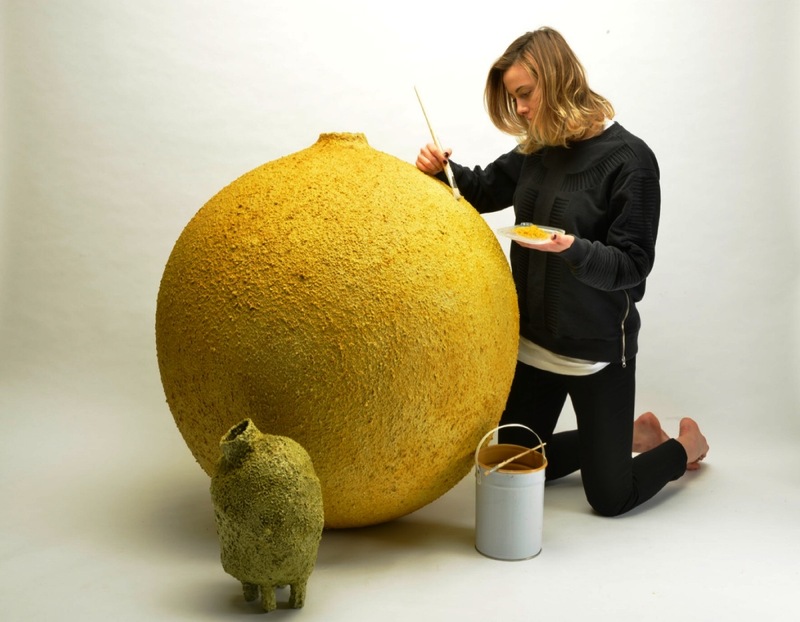 With eye-catching and curious eyes, she uses design to create objects that can ease or shake our lives. She collaborates with various associations in the social field bringing innovation and creativity. “Panama Banana” is an outdoor product that can be used as a hammock but also as a soccer net for beach sports. A perfect combination for a wonderful day of relaxation and activity at the sea! The design is inspired by the shape of the surfboards, which is why it blends perfectly with the context and the marine environment. 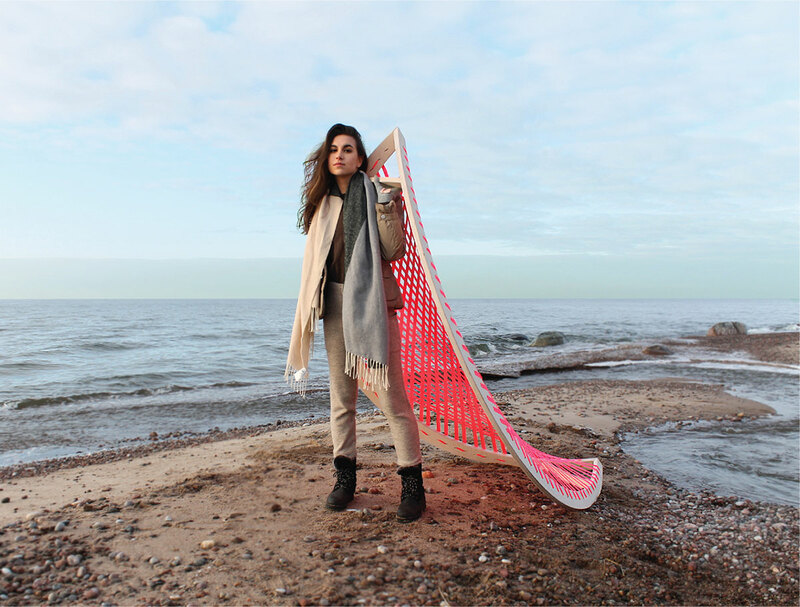 The strings have an open texture so that when a person rest the wind can pass in the middle and feel cool after a long day spent on the beach. Thanks to its lightweight it can be easily moved. When you want to make sport and movement just turn it 90 ° and can be used as a modern soccer net. A really comfortable hammock, the legs when they lie down go up. Finally, when you are tired and you want to go home, to close it, just simply remove the media and return flat. 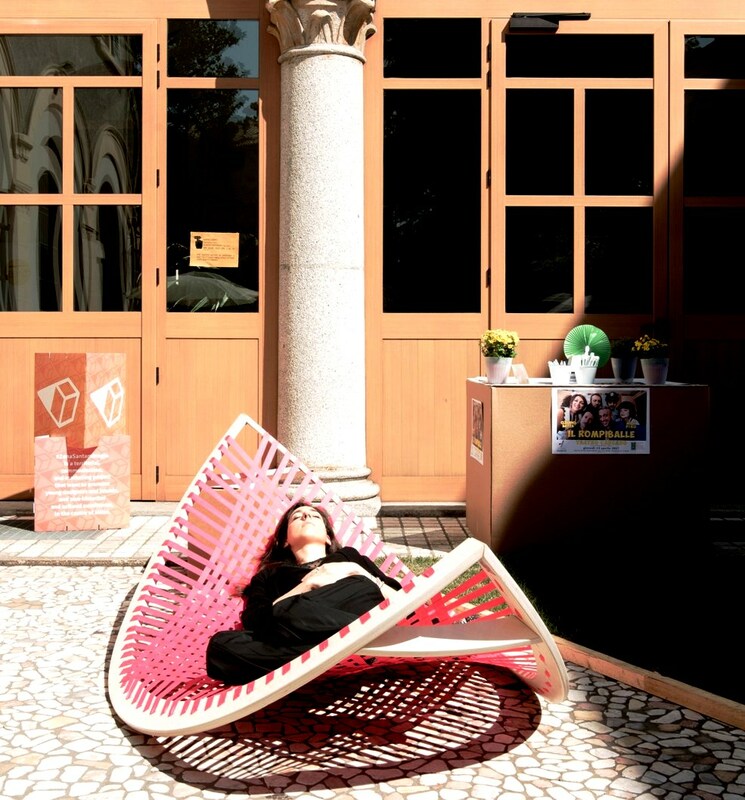 Made of plywood and pink ropes transmits action, sports and feel to be on the beach. This product can be used to place in bars to rent, or for personal use in the home garden. “Panama Banana” is a perfect product for a day at the beach! Agota Rimsaite is a young Lithuanian designer of 22 years. 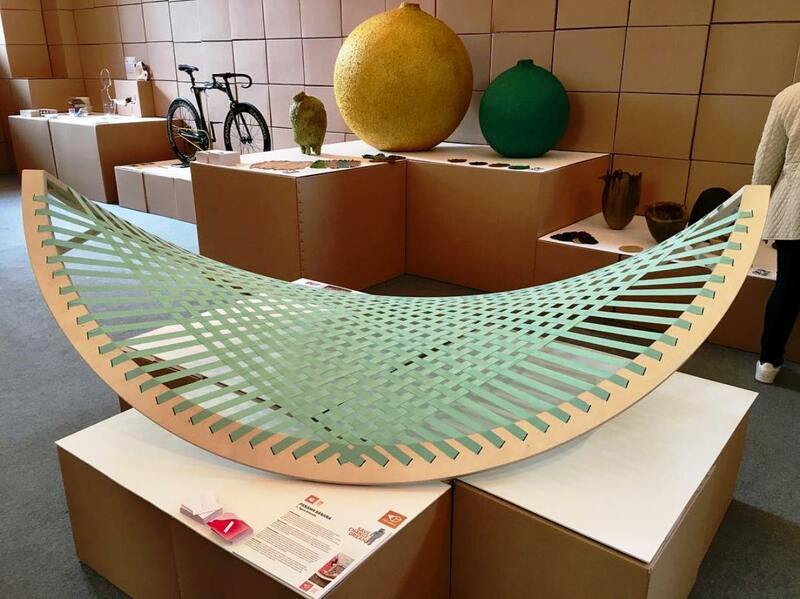 A student at the last year of Product Design Mastery is mainly focusing on furnishings. It is inspired by the needs and the fashion that go day by day. Presence is a light-object that encourages interaction. 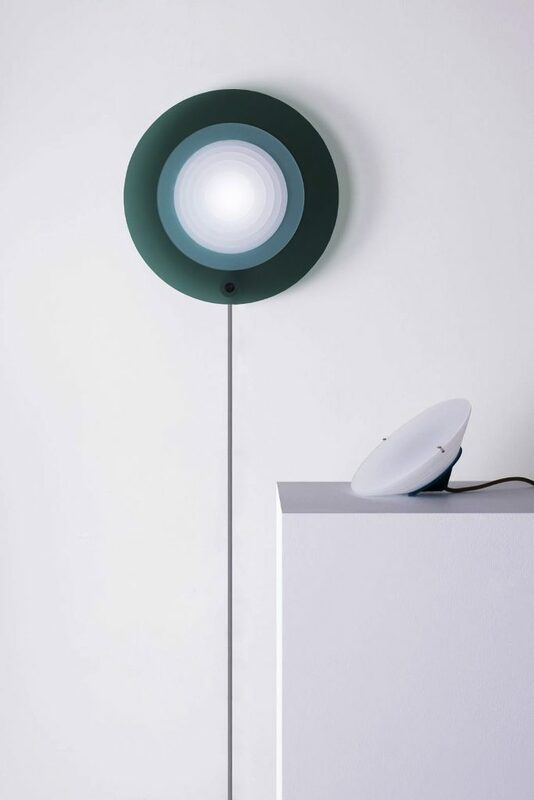 The light pulsates rhythmically in a soothing (blue) color, creating a harmonic atmosphere. Presence reacts to movement. When you get closer, the color of the light intensifies. 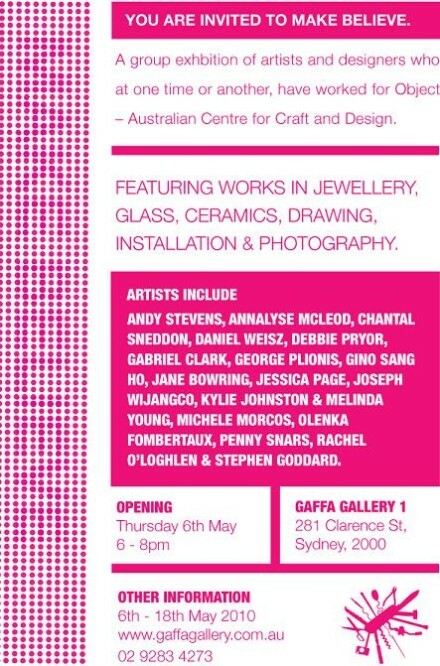 This invites to a playful contact between the object and the viewer. 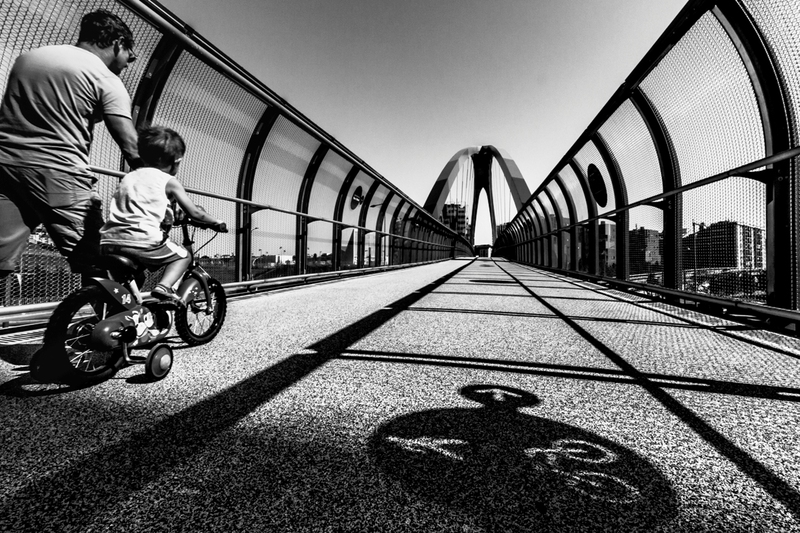 The aim of Presence is to create fun, meaningful and even unexpected experiences for the viewer. Presence stimulates contact regardless of age, physical or mental capacity. It is intuitive and speaks directly to the senses. Patience is a table object in the same spirit as Presence. 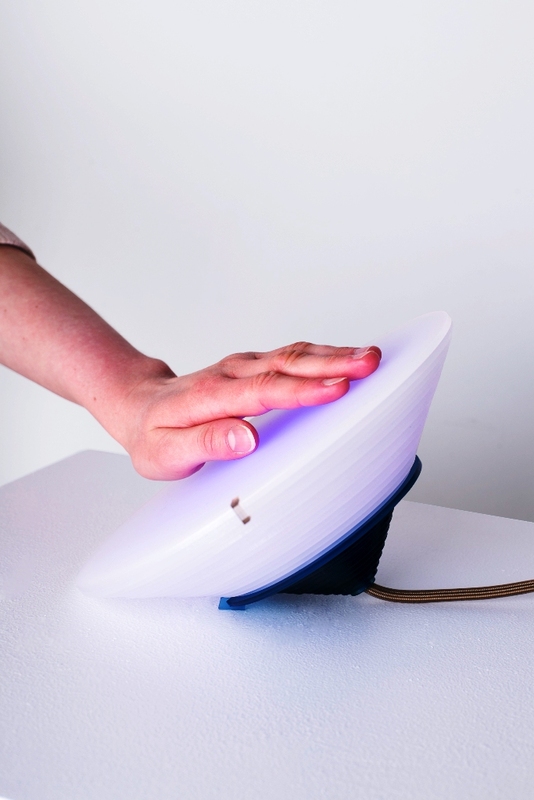 By touching the surface of the object with your hands, you can influence the brightness and color of the light. It is a direct and intimate way to play and interact with light. Together the two objects Presence and Patience form a dynamic duo that complements each other. Sandra is a Swedish designer currently based in Eindhoven, the Netherlands. 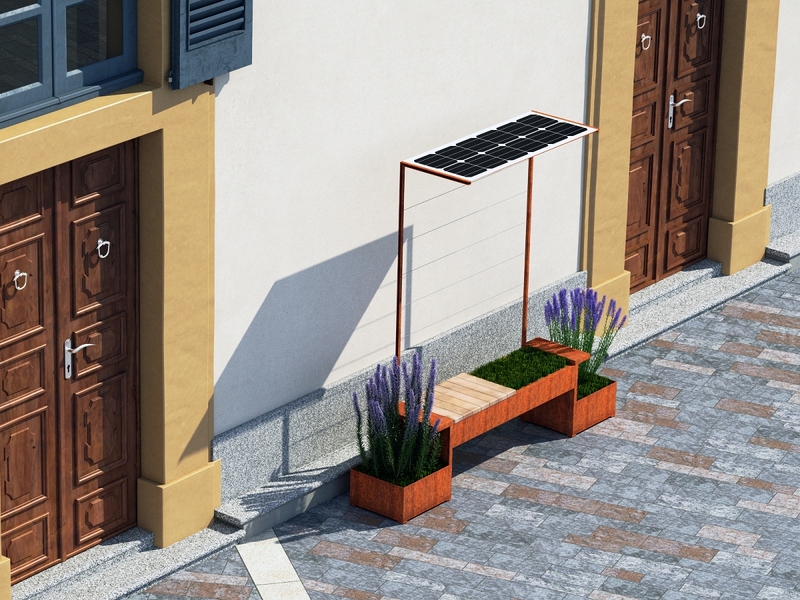 The design includes a range of furniture products, tailored to the needs of the end user and the place where they will be placed, the base element is extremely resistant to the loads and once the oxidation process has been blocked, it has a copper color Changing: steel corten. 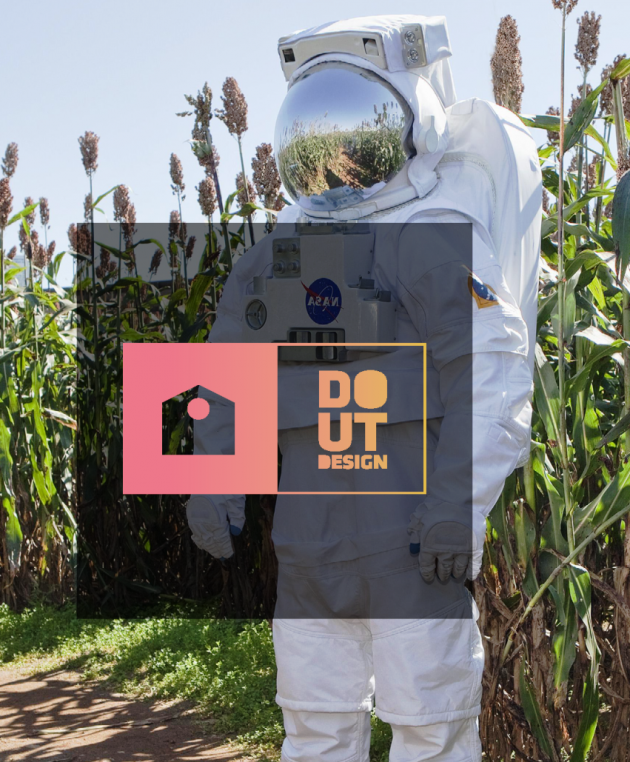 A soft green turf that allows everyone to appreciate the benefits of a soft raised sitting, ornamental plants, and the ability to grow vegetable foods, characterize the first product under the brand Stay Genuine. A photovoltaic panel housed on the cover provides 54 watts of electricity to power lights, batteries, and music speakers. 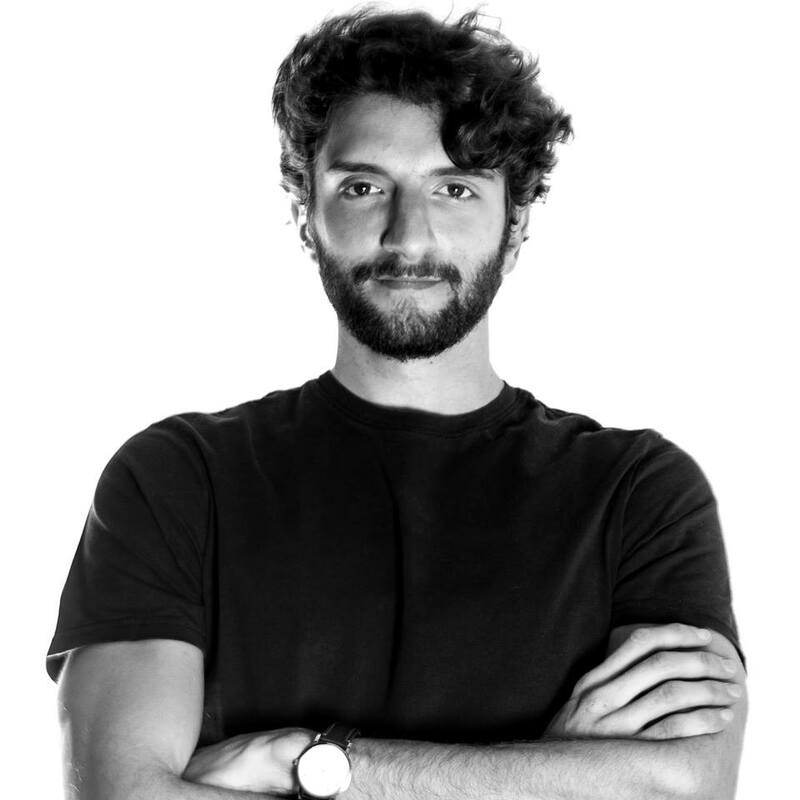 Davide Galli, he attended architecture studies and graduated from the Politecnico di Milano supporting a thesis for the reactivation of a village located in the valley of Ayas. The purpose of each action is contextualized in the reality in which we live, it is looking for what it needs, bringing new energies within it, always. 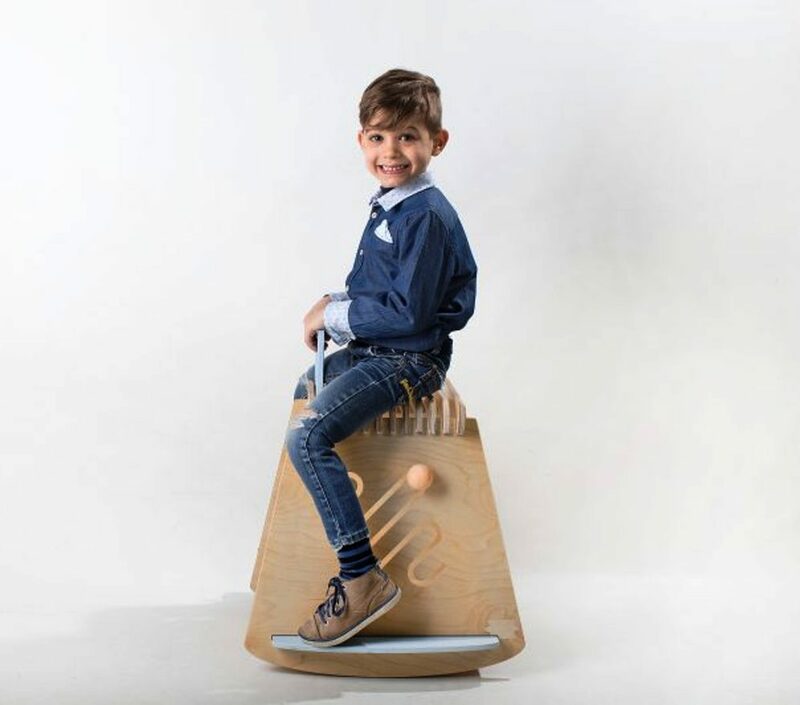 “Being on the table can become a game” .. Table Swing is a table for children aged 3 to 6 who, with a simple gesture, turns into rocking. 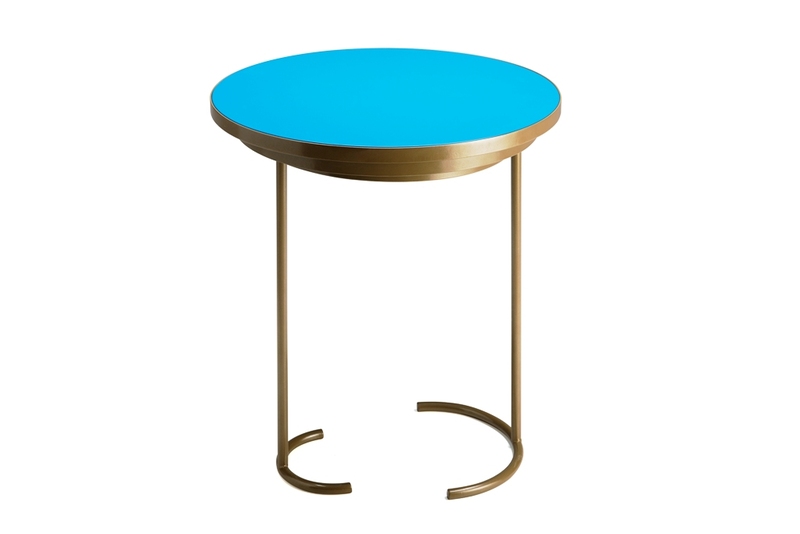 Made of wood and non-toxic dyes, the curate and minimal design allows the table to be mounted and dismantled by hand in a couple of minutes through simple engravings. 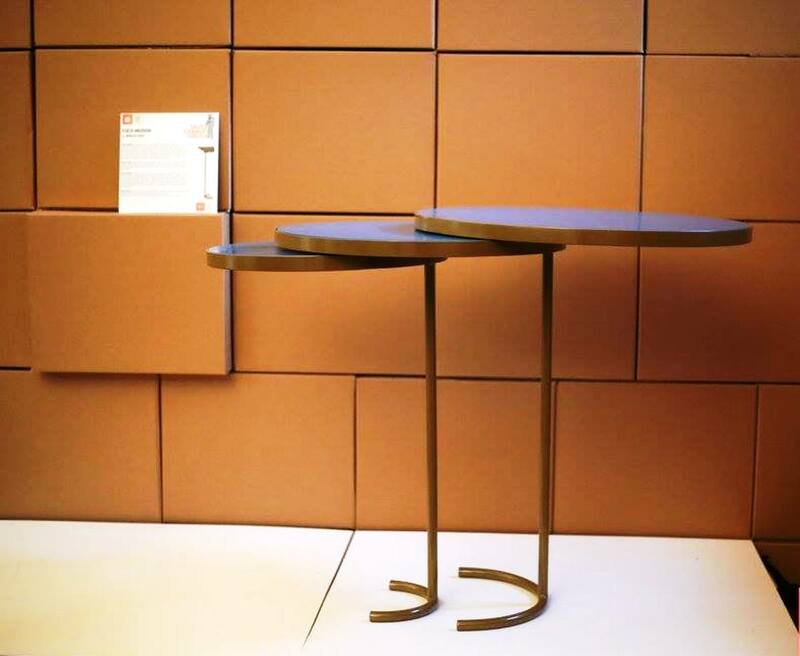 Table Swing was made by cutting a single sheet of multilayer with pantograph technology. 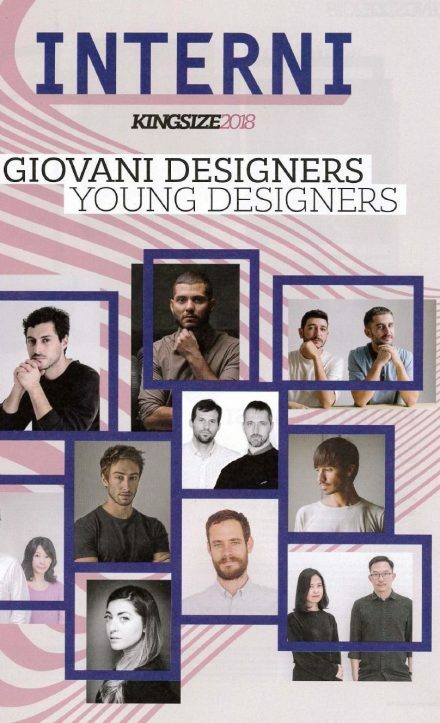 Tania Falco graduated in 2013 in Fashion Design to continue his Product Design course at the Second University of Naples where she graduated in 2016. 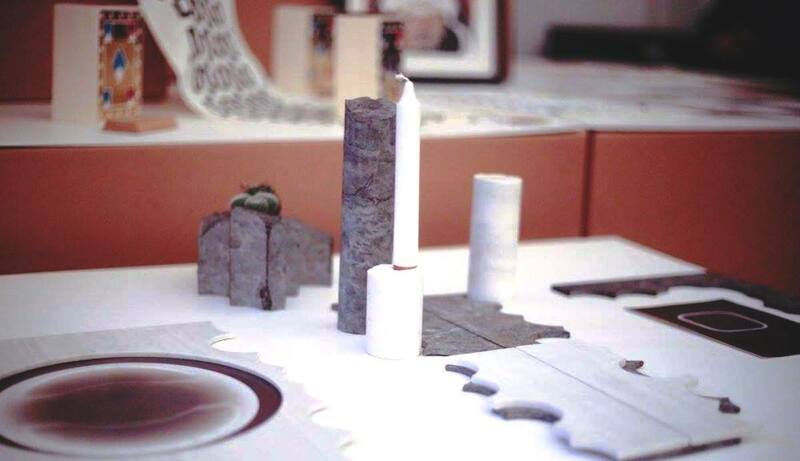 She is passionate about the world of Design for Childhood Carrying on many projects related to this sphere. 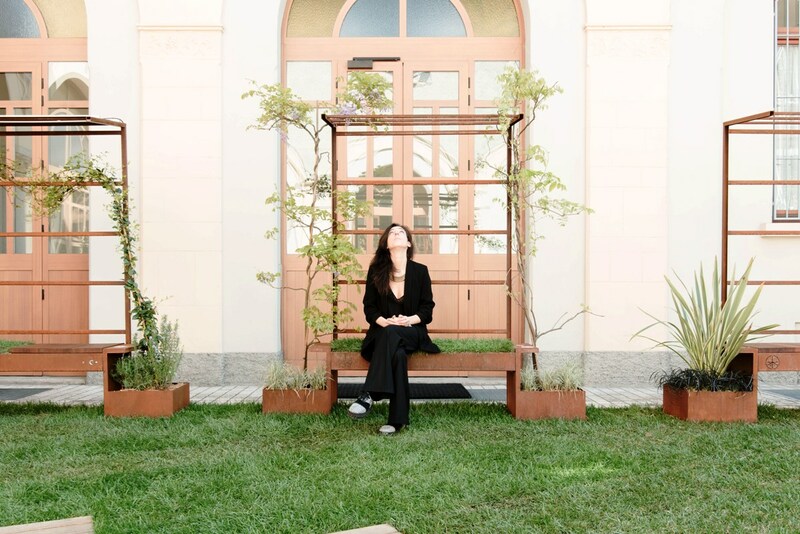 Francesca Liquori graduated in 2013 at the Second University of Naples in fashion design and then moved to Product Design at the Sun Engineering Faculty in Aversa. He has a period of studies at the Der kunste universitat in Berlin. 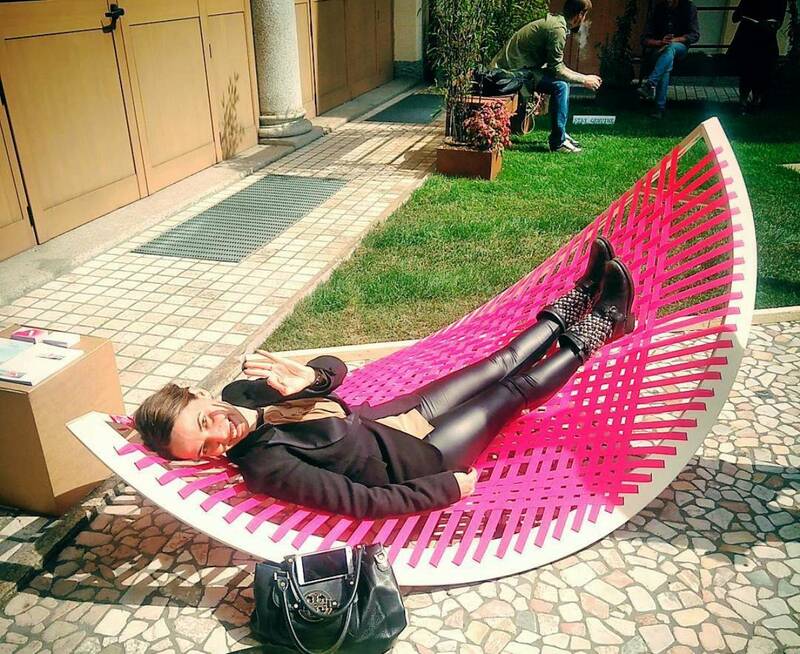 Maria Del Vecchio di Nola, graduated in the Design for Fashion at the faculty of Aversa “Luigi Vanvitelli”, continues her studies at the faculty of Engineering in Aversa where she graduated in the specialization course in Design for Innovation. 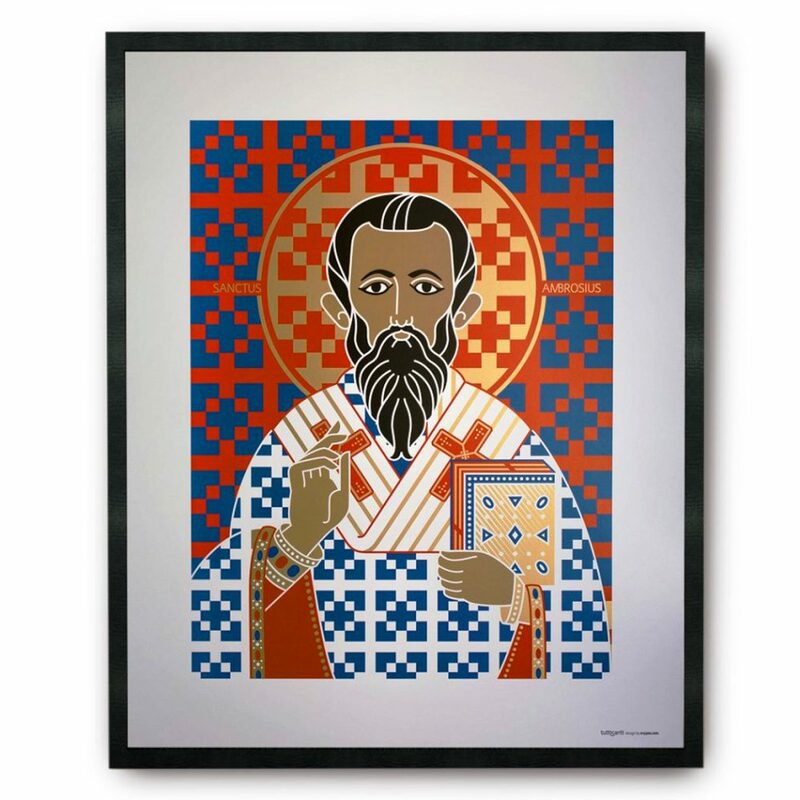 Among crafts and design, ” All Santi” by Tuttisanti design is a project inspired by the iconography of Catholic and Orthodox reinterpreted in contemporary key, which provides the realization of illustrations and furnishings by putting valuable works of Italian territory through new linguistic codes. 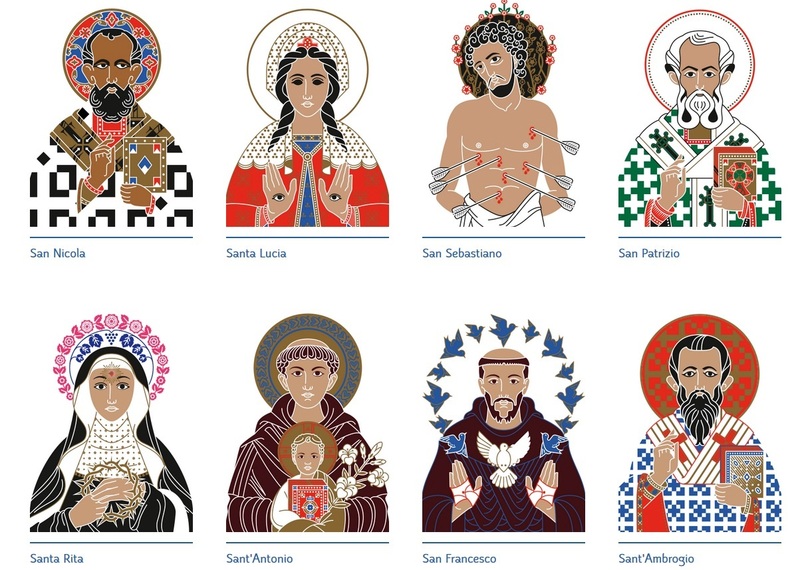 Regardless of my belief, this project intends to celebrate the exceptionality that characterizes humans. 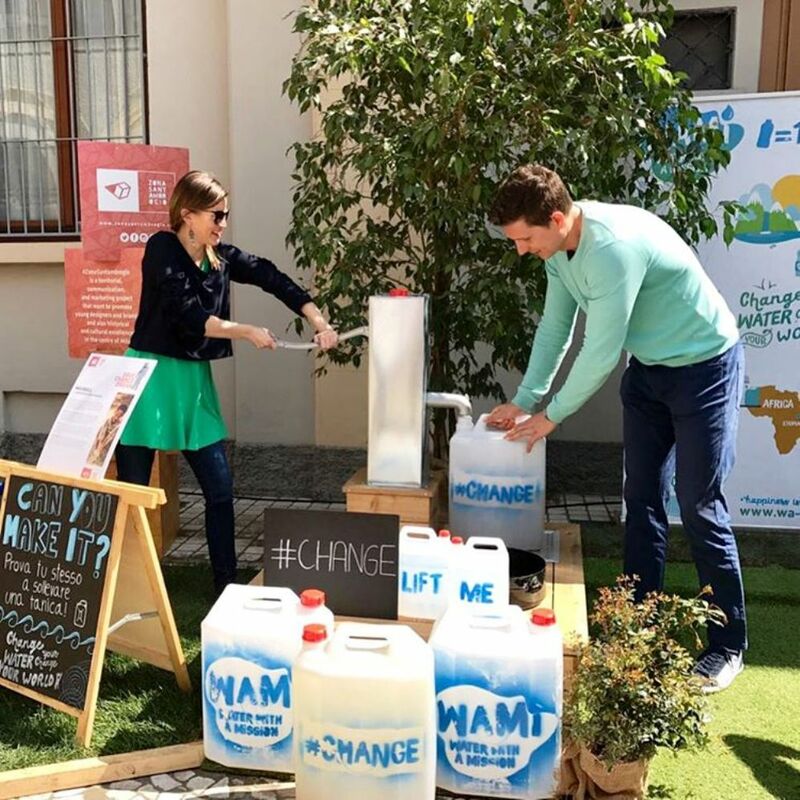 WAMI – Water with a Mission – is a new brand of mineral water that is born with a mission: to guarantee everyone the right to drinking water ! 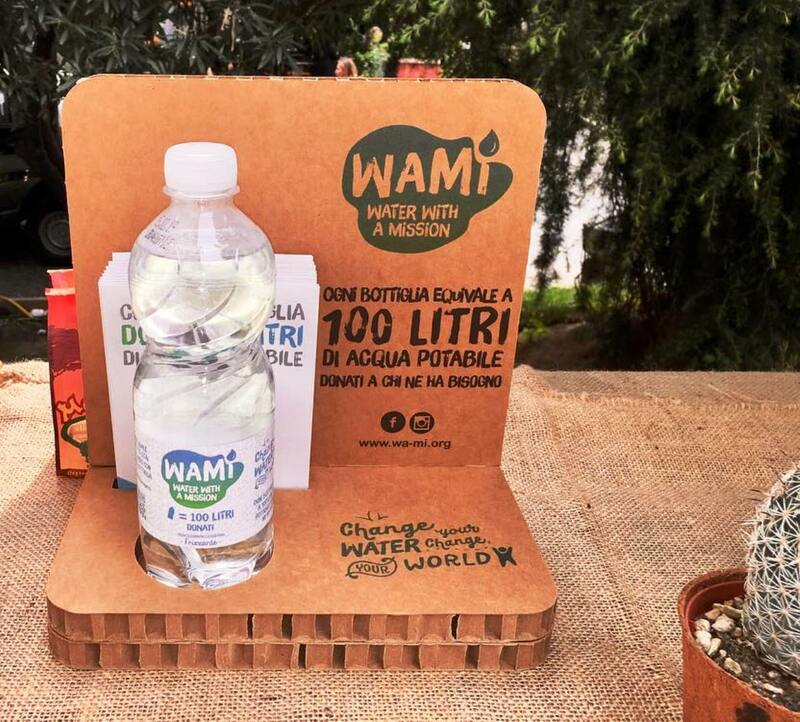 Each bottle sold of WAMI gives 100 liters of drinking water to those most in need, contributing to the construction of wells in needy villages. 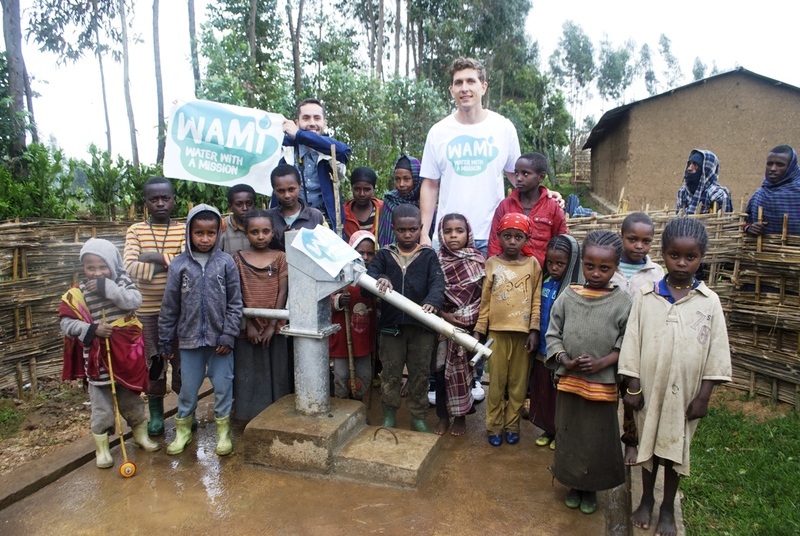 WAMI is an all-Italian start-up under 30 and in the first eight months since its creation has already donated over 10 Million liters to the population of Ilu Dhina in Ethiopia. MaxWell the well – reproduces a handheld well with a full size, just like those made by WAMI in the needy villages. These wells, which usually have a depth of about 60 meters, make the water present in the subsoil accessible. 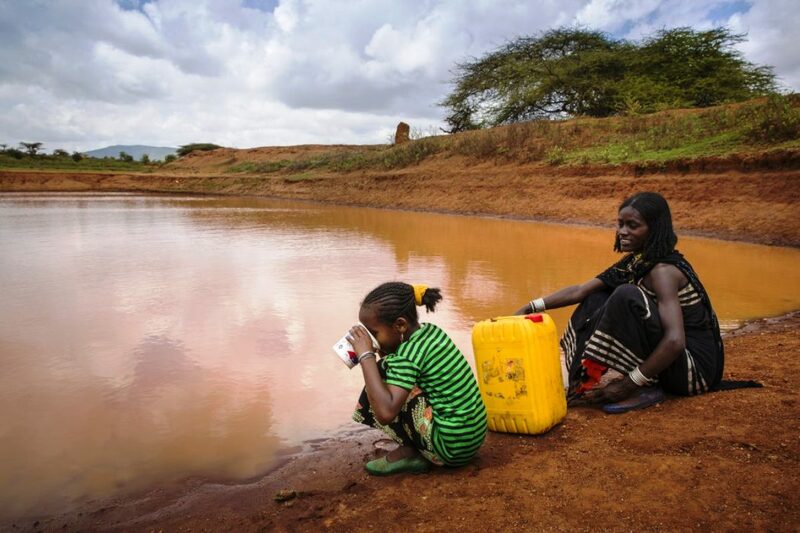 On average, such a well lasts for over 20 years and provides over 30 million gallons of drinking water. WAMI realizes these projects with experienced partners such as Lifewater International by first identifying the needy community and analyzing the subsoil to find a safe and sustainable water catchment. After the pit is completed, some village members are taught how to properly maintain the facilities and a supervisor is set up to follow the results achieved and the impact on the community. When a project like this is done and a village gets access to drinking water it changes everything! Not only do you save many lives, but there is a huge impact on the economy Local: Improve health conditions, kids spend more time at school and parents have more time and resources to work and work with the family. 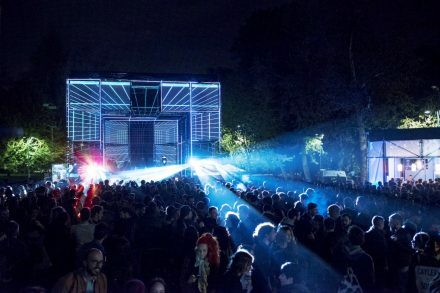 La serata è iniziata! 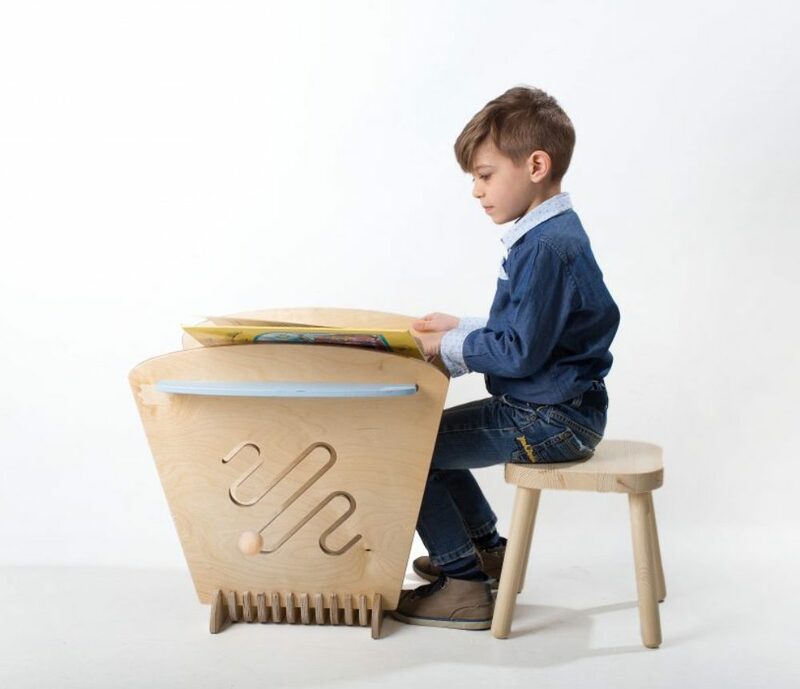 Musica e cibo con contorno di design! Venite a trovarci! 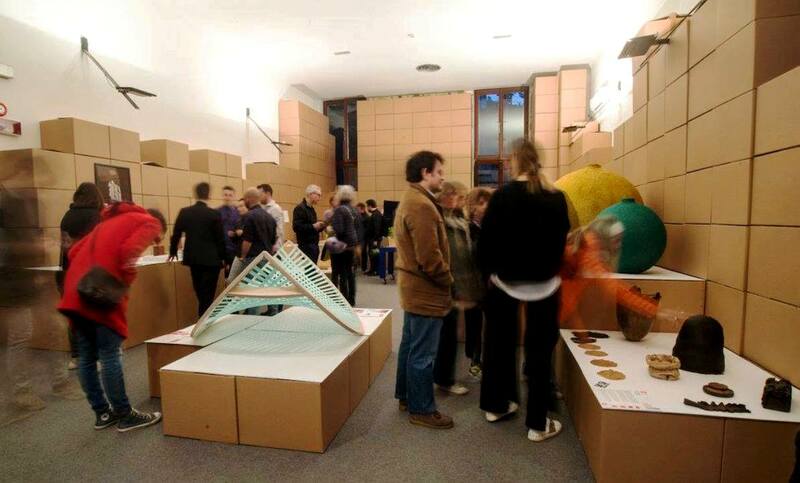 The theme of the event, which is the changing habits, as well as the socio-political current affairs, which force us to reflect on the issue of housing and on the perception of the urban public space. 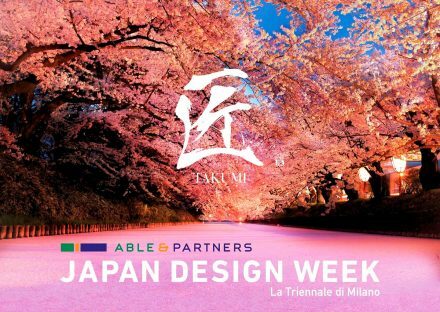 Held at the Triennale di Milano, the exhibition highlighted Japanese design based on tradition but in continual renewal. For the third consecutive year, Swarovski will collaborate with Design Miami/ for the 2017 Swarovski Designers of the Future Award. 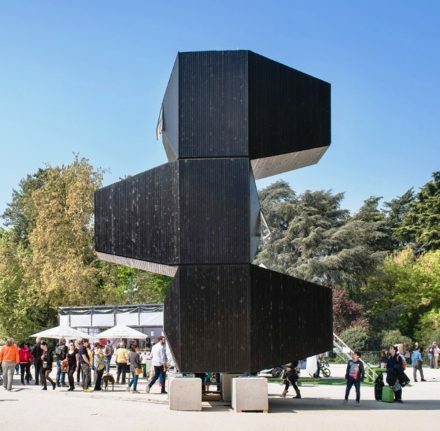 The Swarovski Designers of the Future Award honours promising young designers and studios who epitomise the new directions taking form in design – with a notable platform and opportunity to present their work. 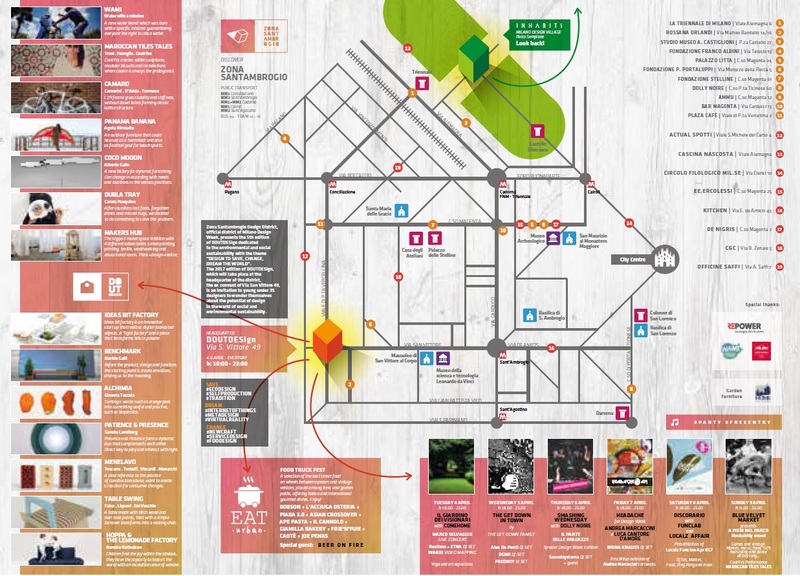 Milan Design Week 2017 visitors could view the installations, stop, recharge and entertain themselves every day with musical events, with a daily evening program of concerts and DJ Sets on a stage of 80 square meters designed by a studio of young Italian architects. I am a black and white person, un-scared of dividing the world in good and bad. This year, Minotti enters its 20th year collaborating with it’s creative design director, Rodolfo Dordoni. 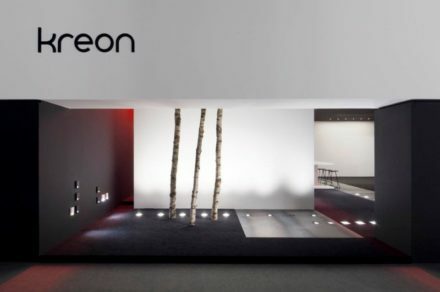 Since our founding in 1938, design integrity has been our guiding principle as we offer insight into the way business is changing and into whats possible—now and for the future.